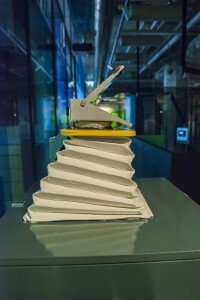 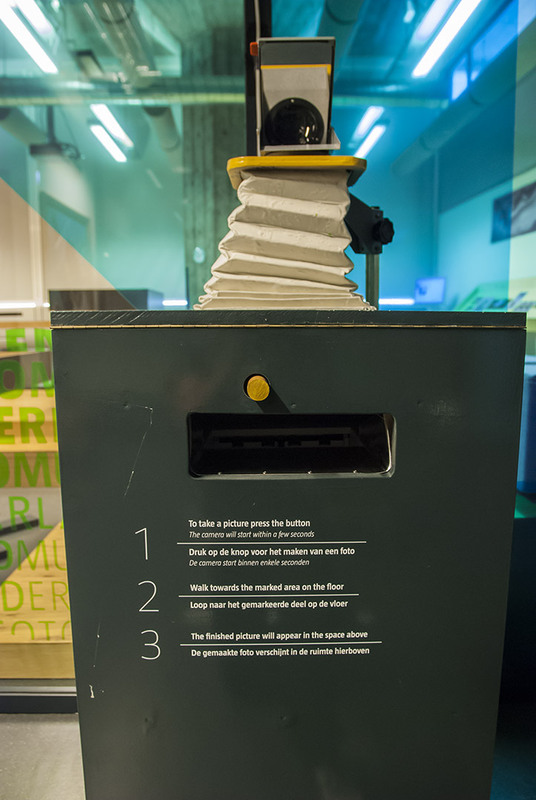 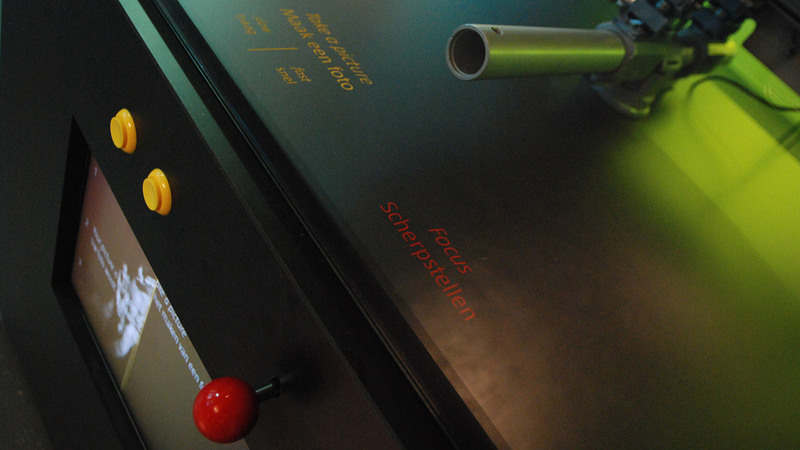 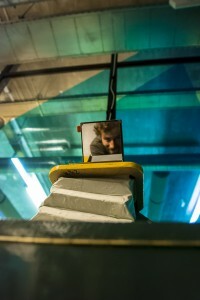 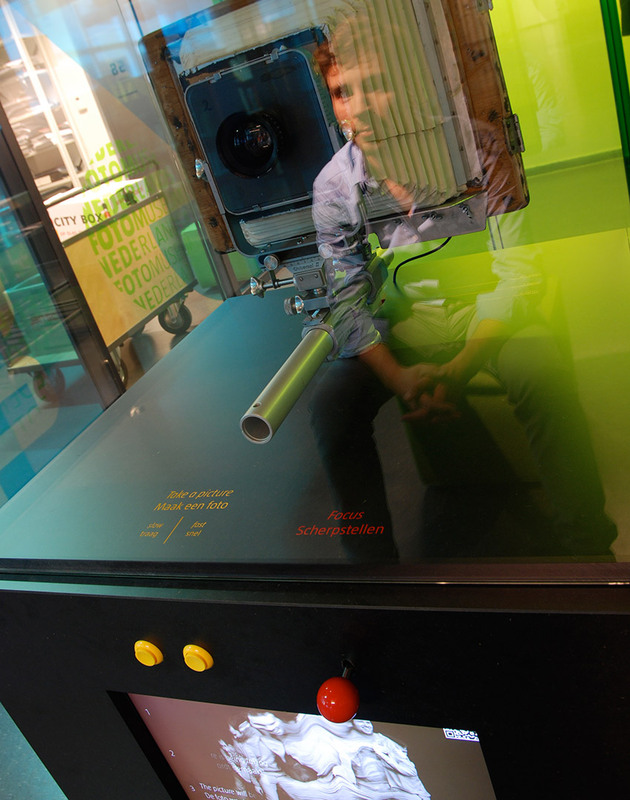 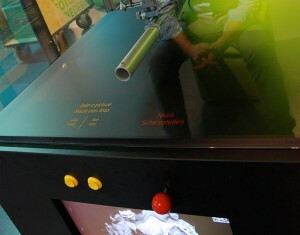 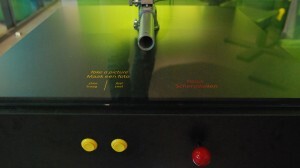 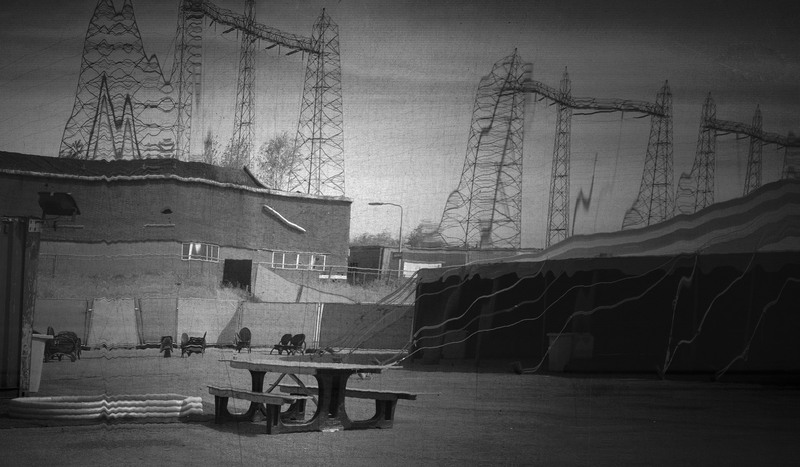 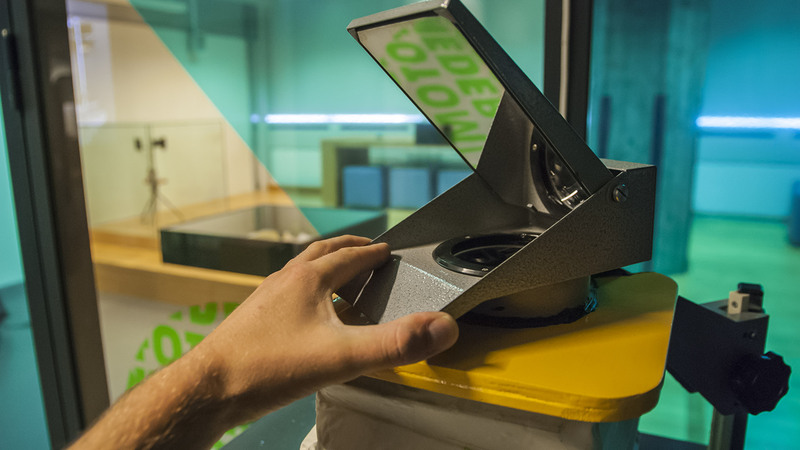 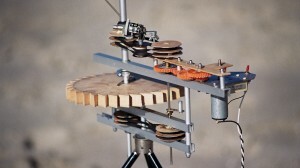 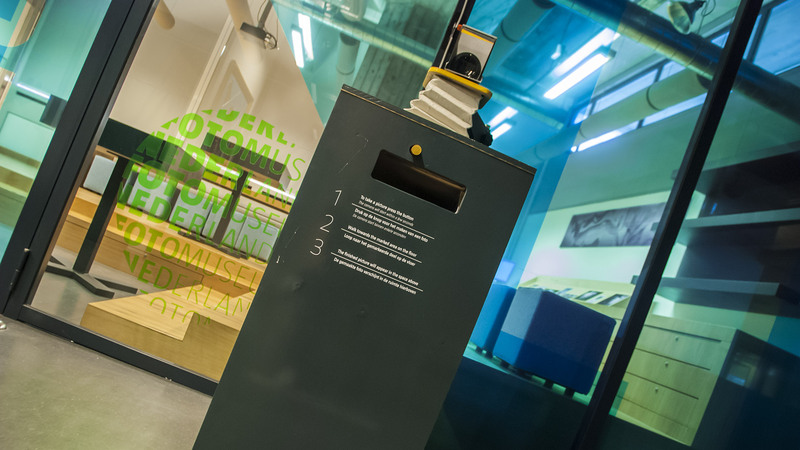 Slowmography is een interactieve installatie, waarbij de bewegingen van het publiek worden vastgelegd in één intrigerend beeld. 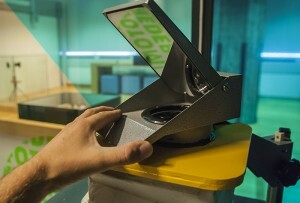 Het tijdsbestek bepaalt het beeld. Je kan snel bewegen of je kan met je vrienden in slow-motion bewegen of op andere wijze de interactie aangaan en kijken wat de uitkomst daarvan is in Slowmography. 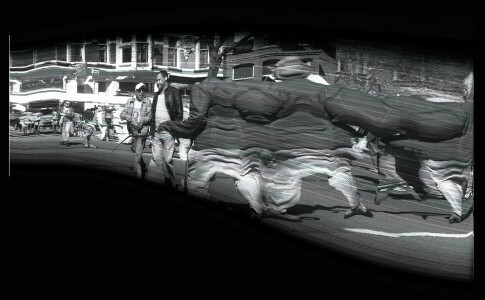 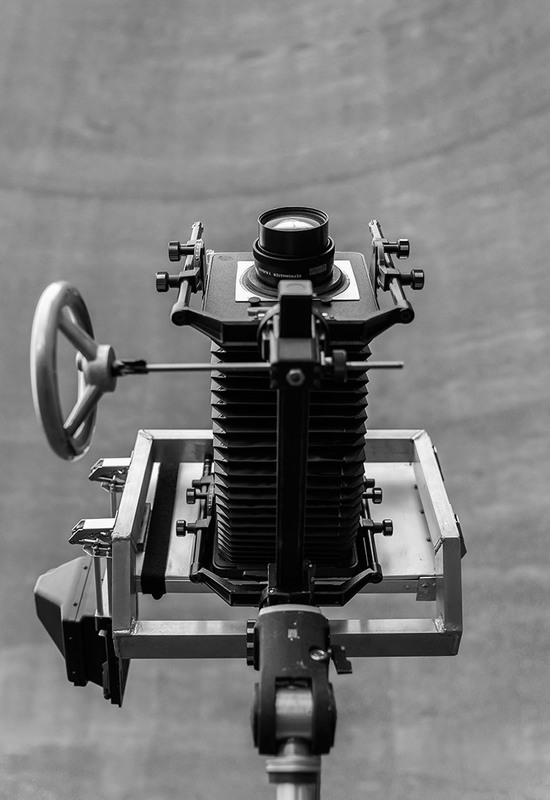 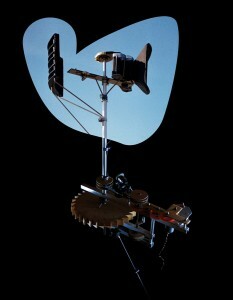 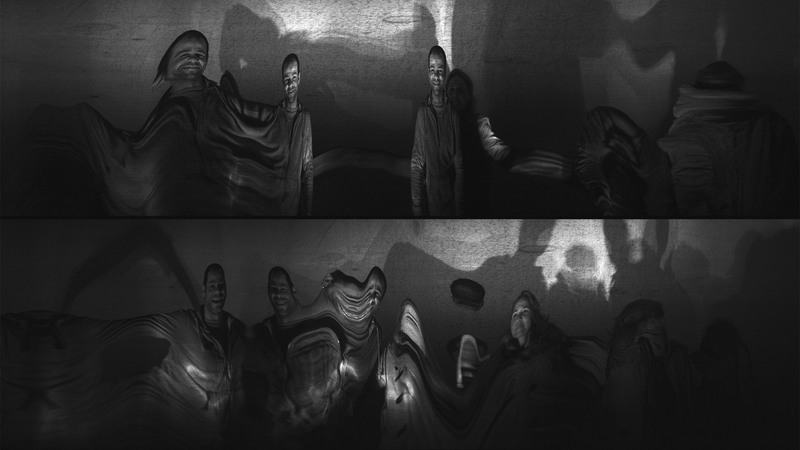 Slowmography is an interactive installation that captures the movements of its audience in one intriguing image. 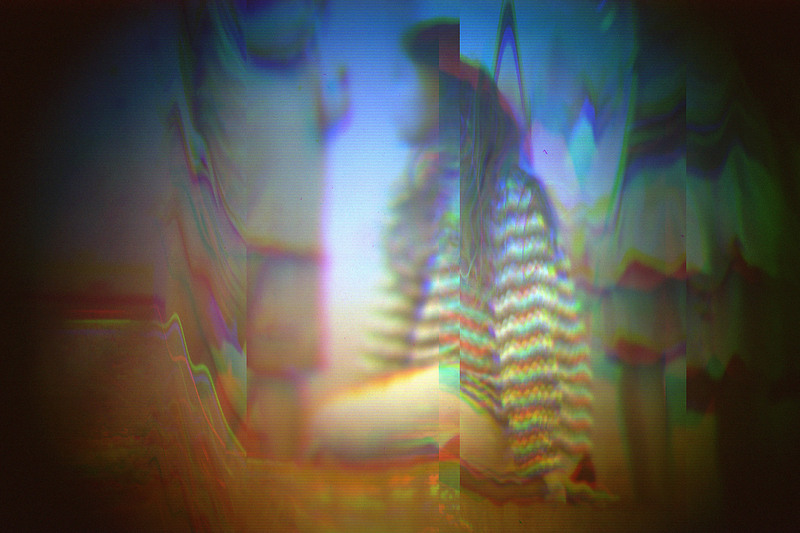 The chosen timeframe determines the resulting image. 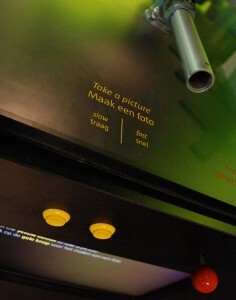 You can move fast or very slow with your friends or find other ways of interacting and look at the outcome in Slowmography on the spot. 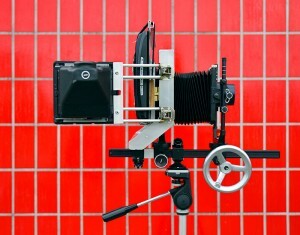 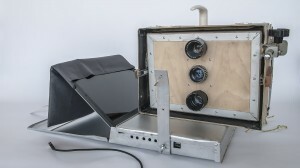 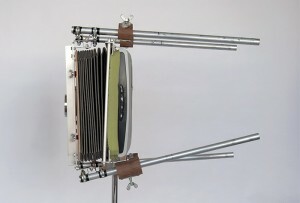 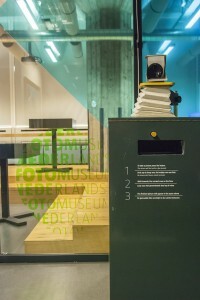 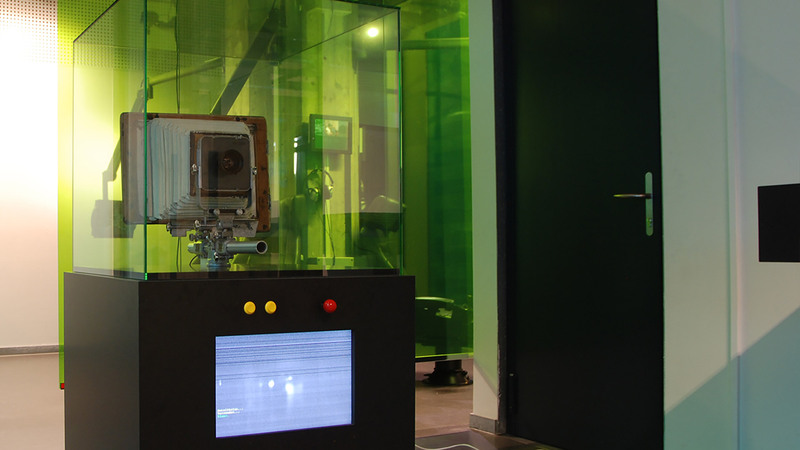 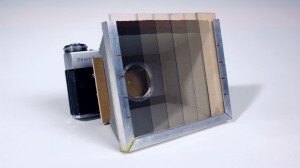 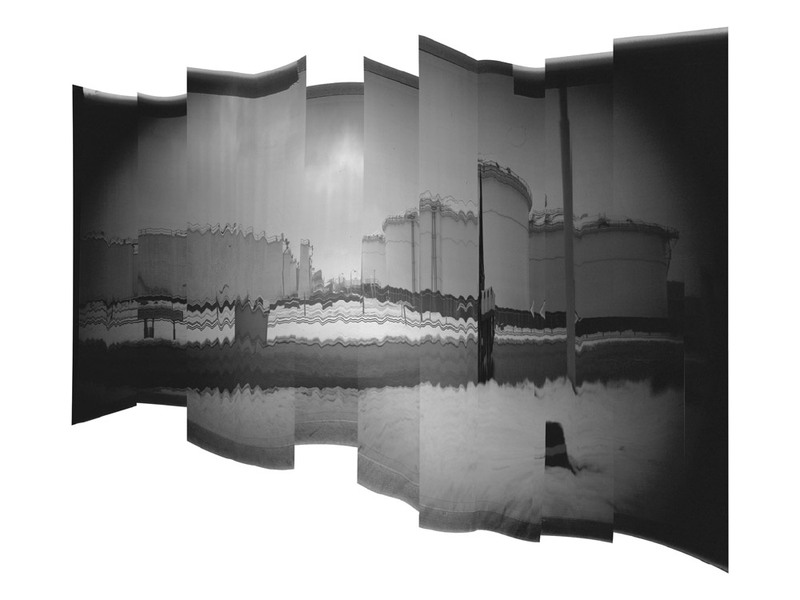 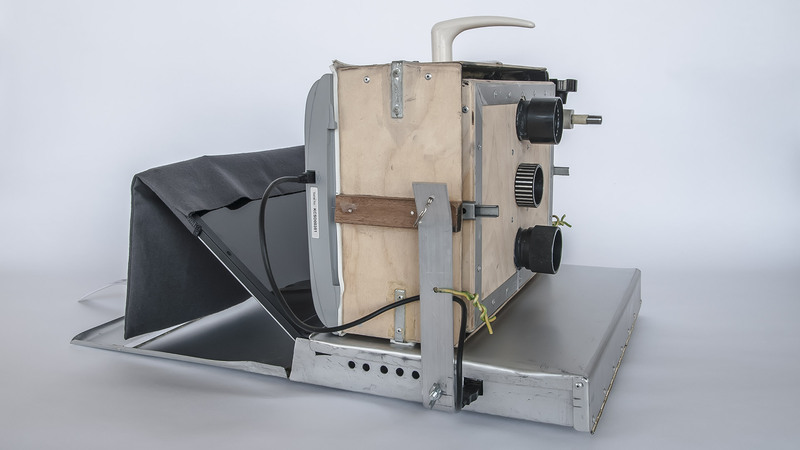 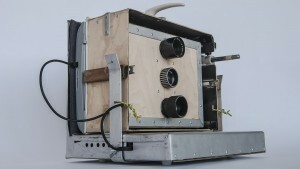 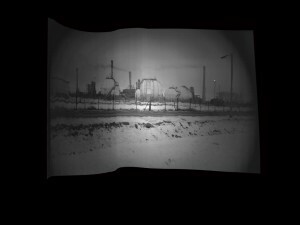 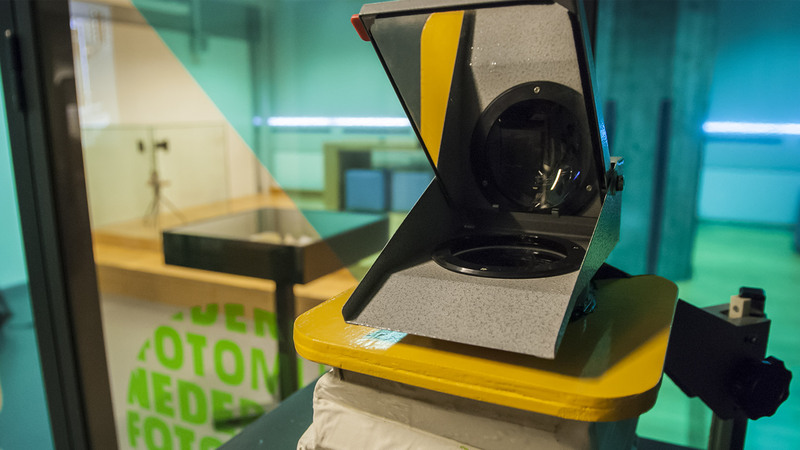 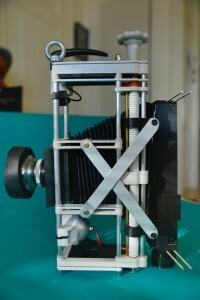 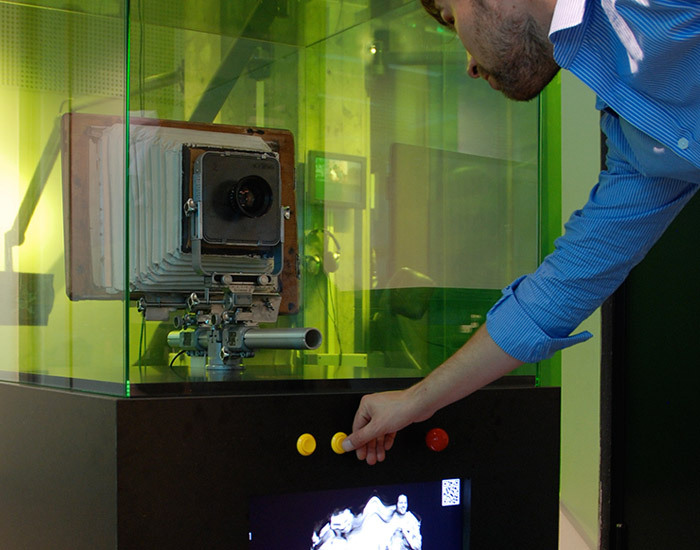 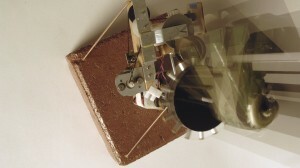 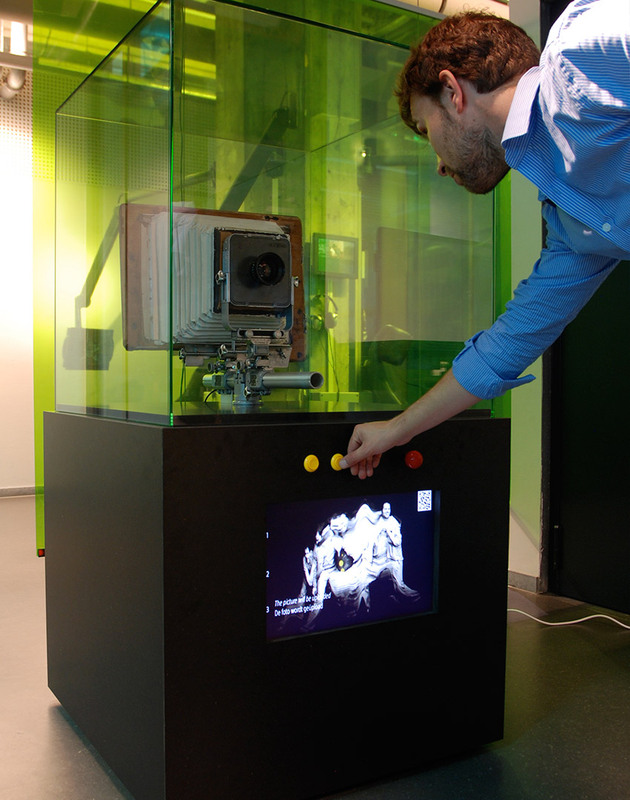 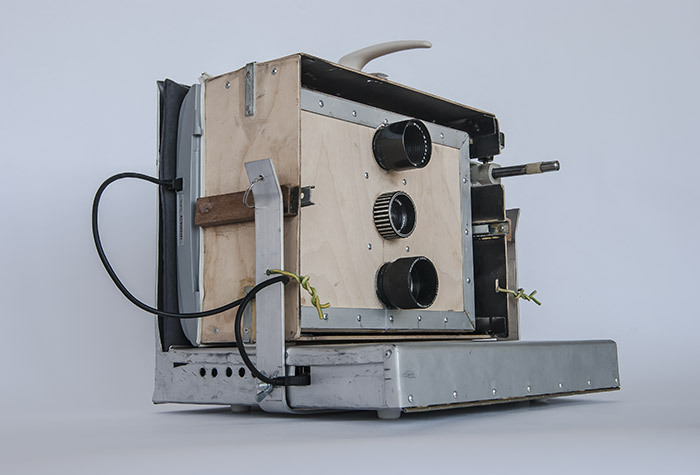 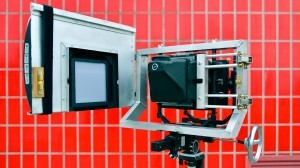 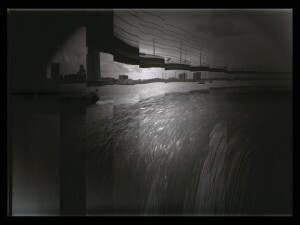 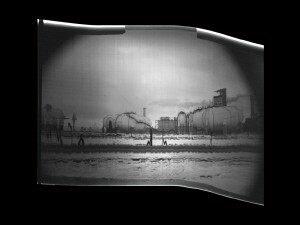 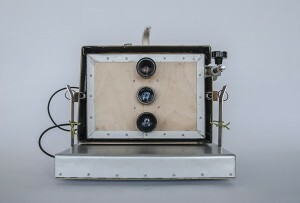 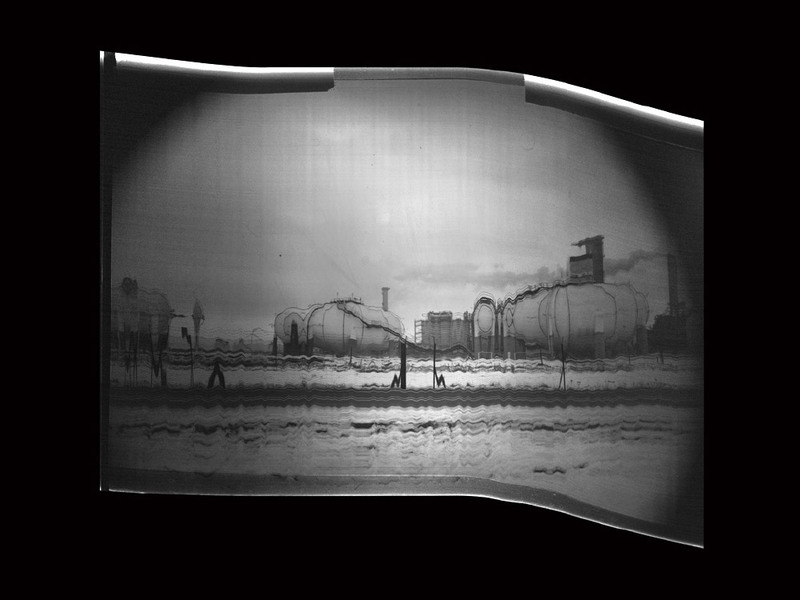 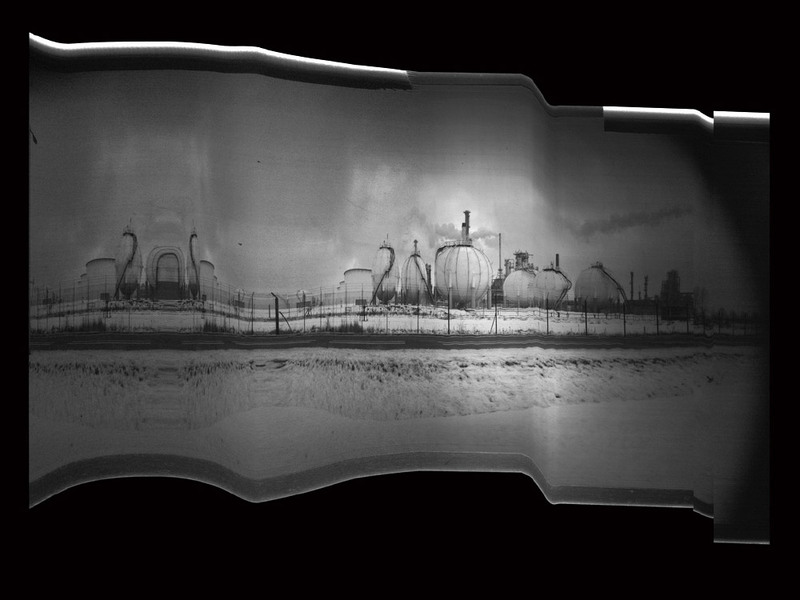 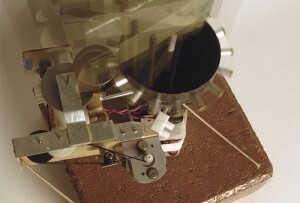 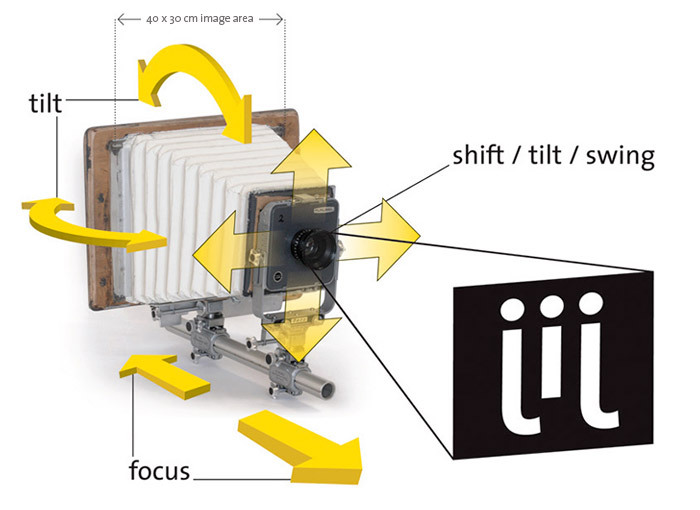 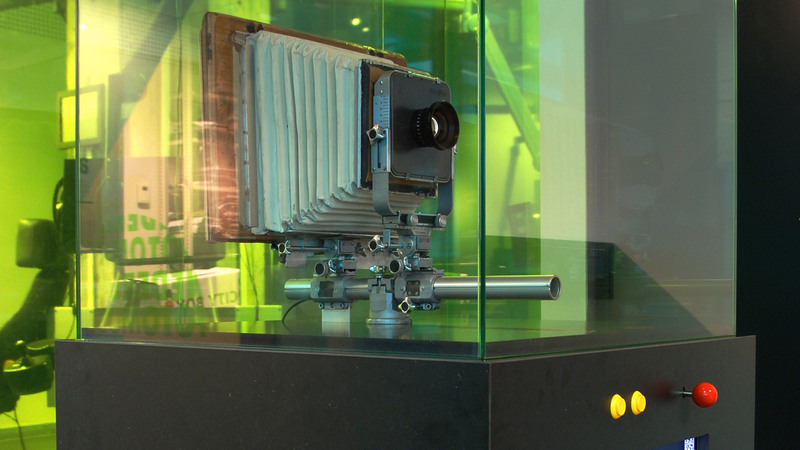 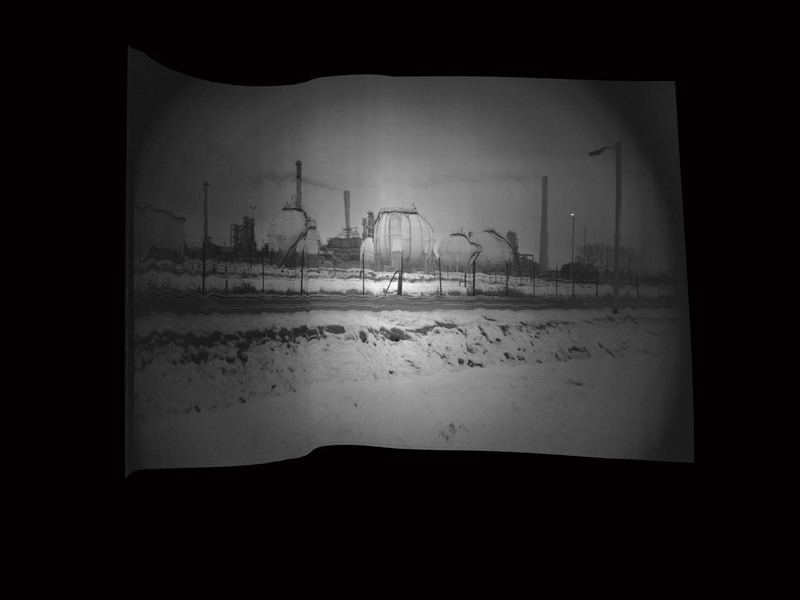 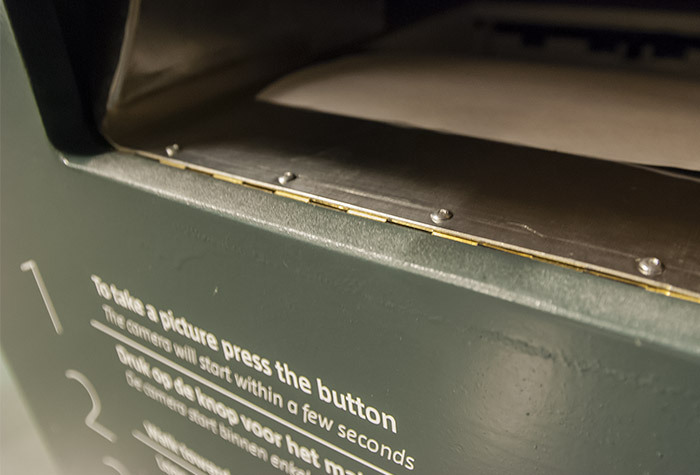 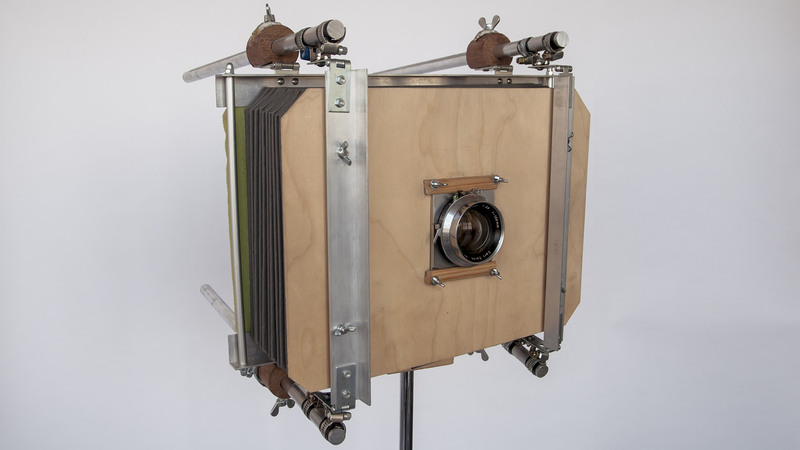 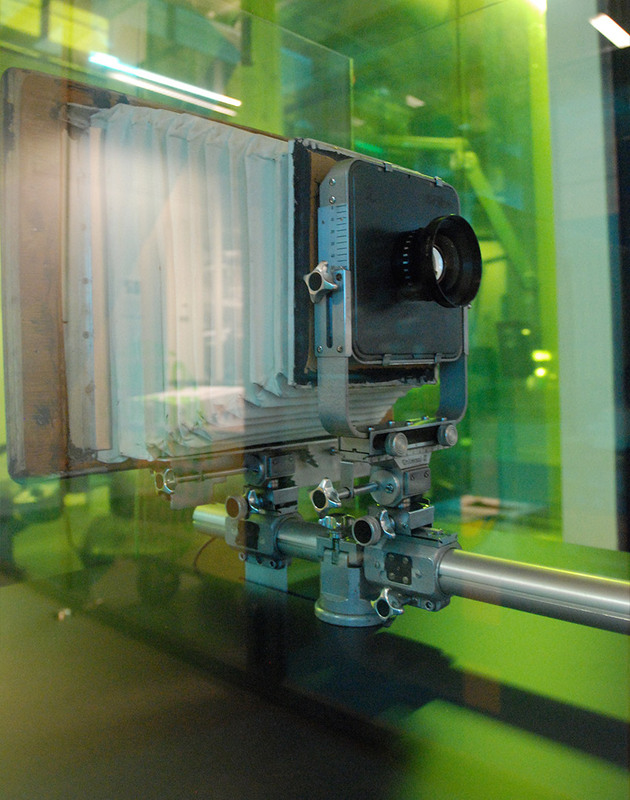 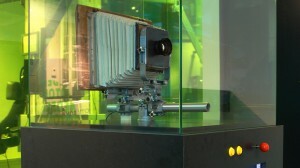 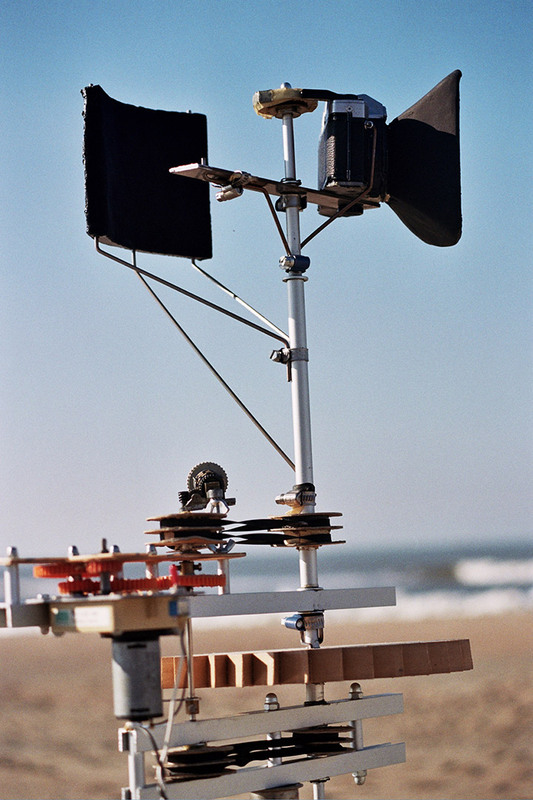 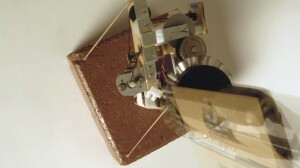 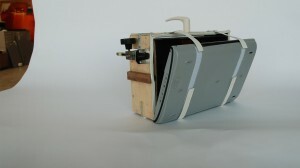 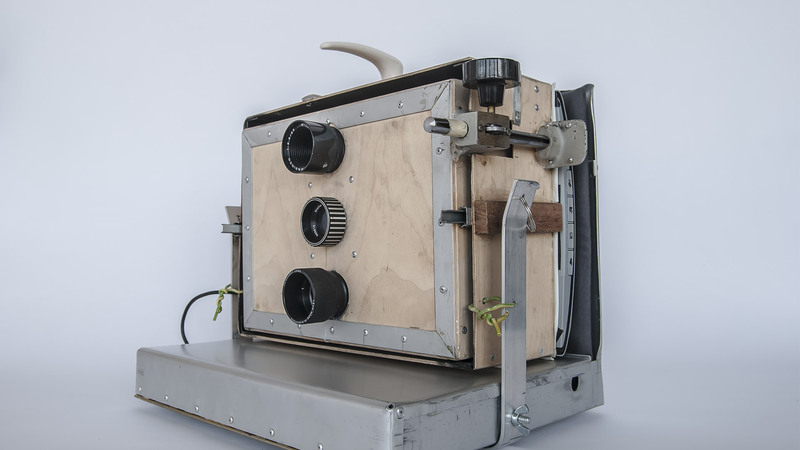 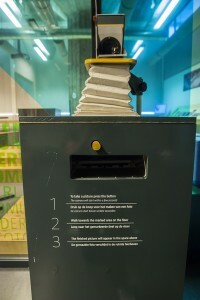 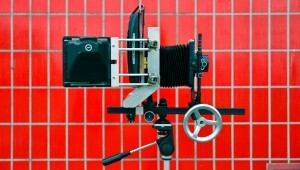 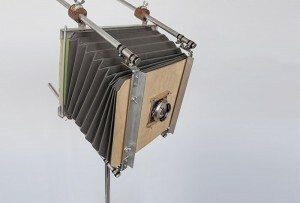 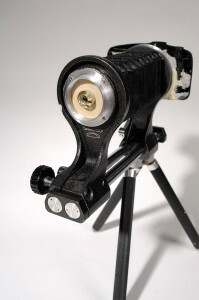 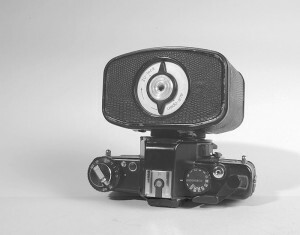 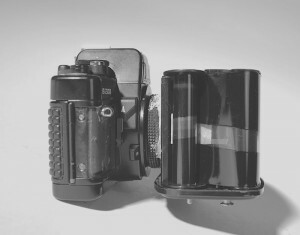 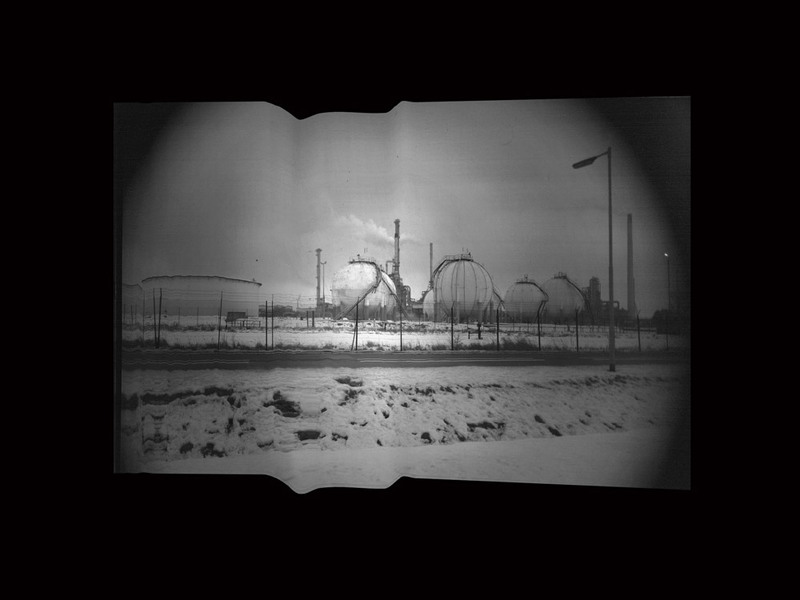 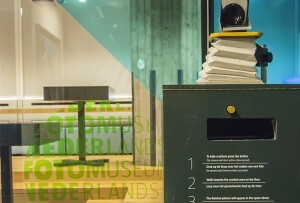 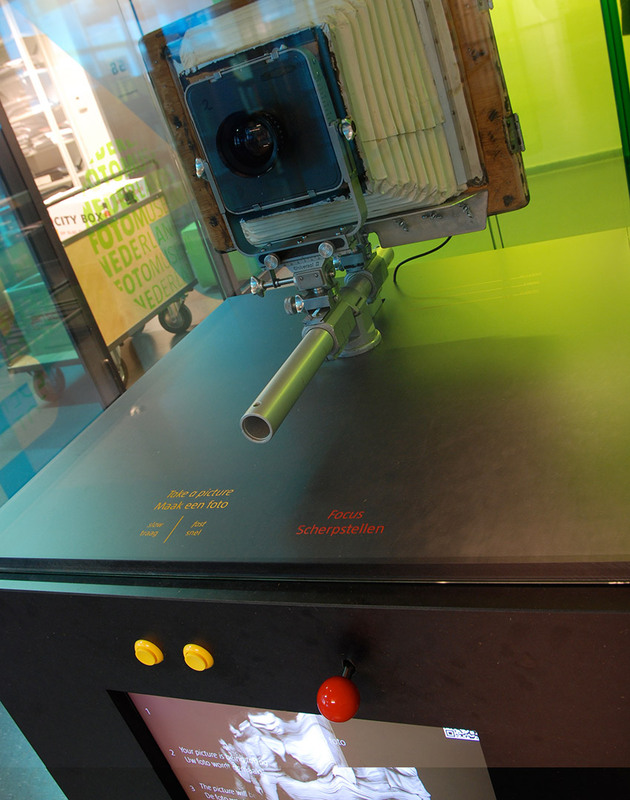 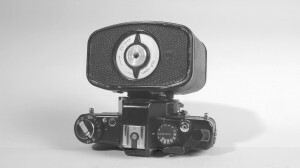 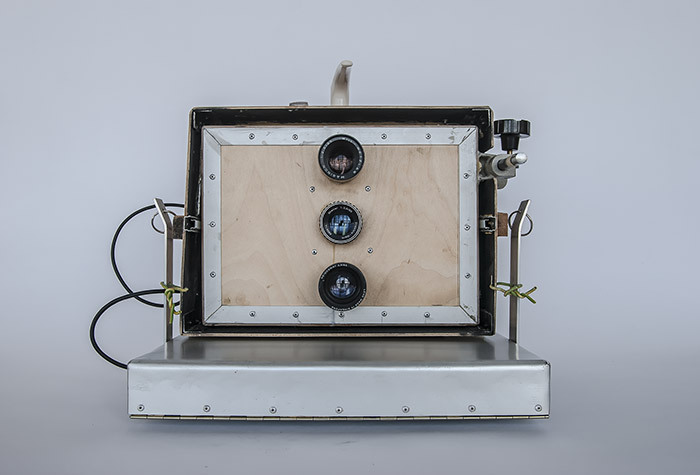 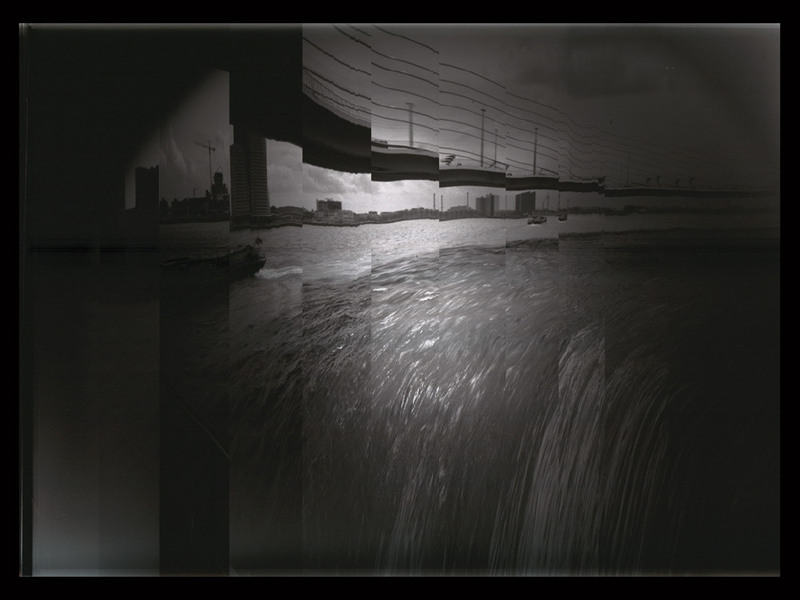 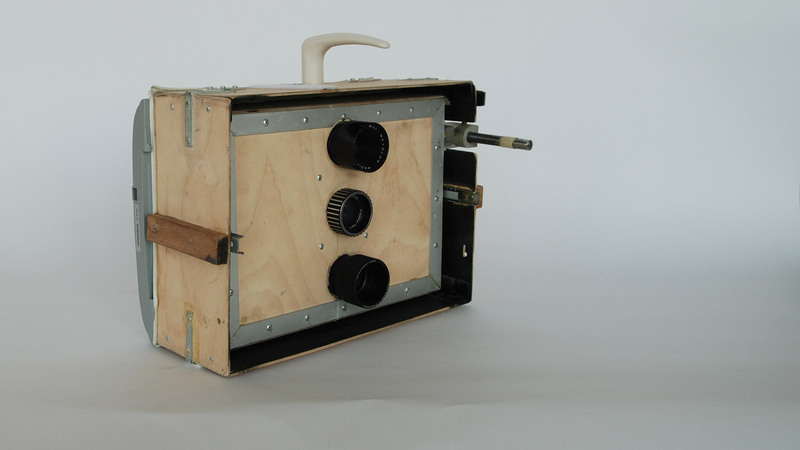 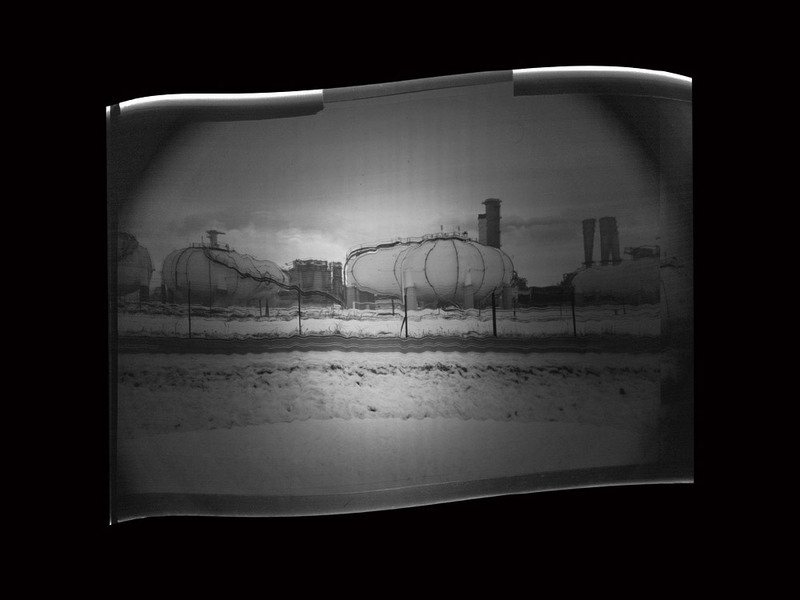 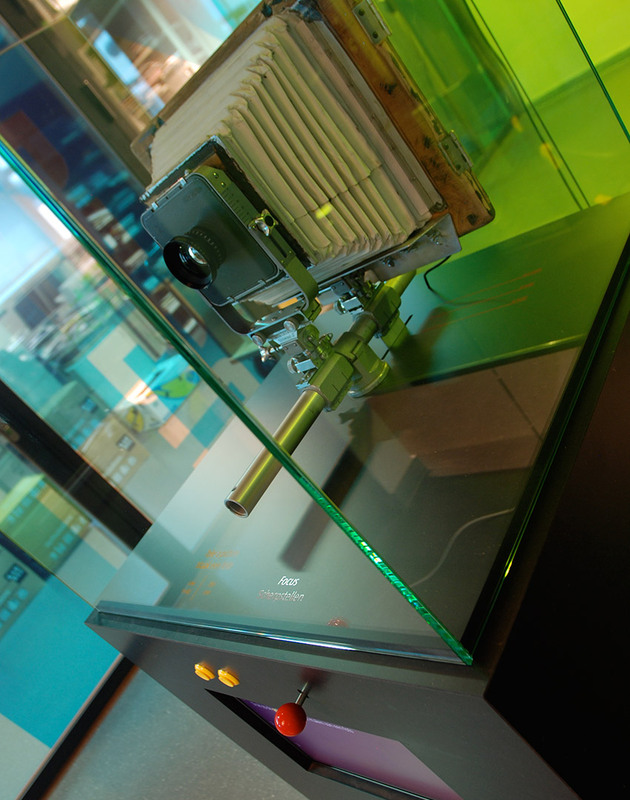 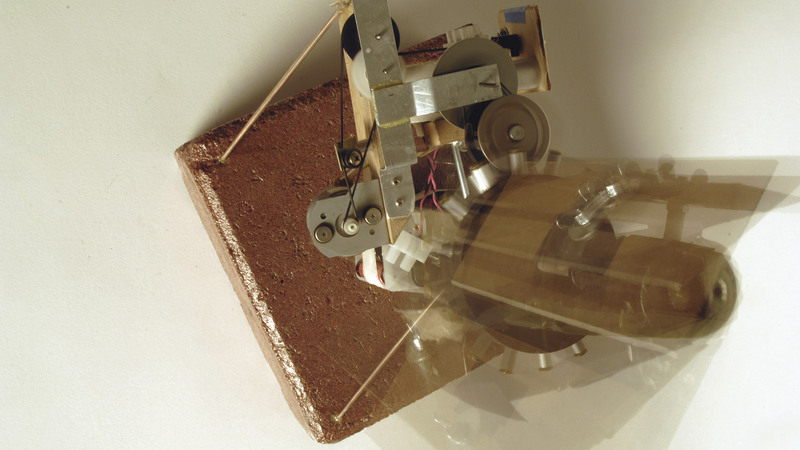 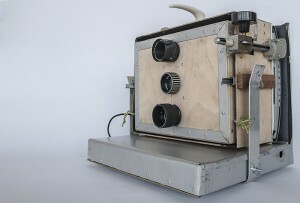 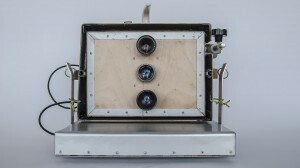 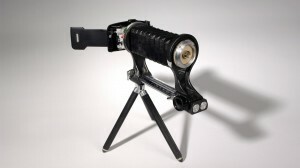 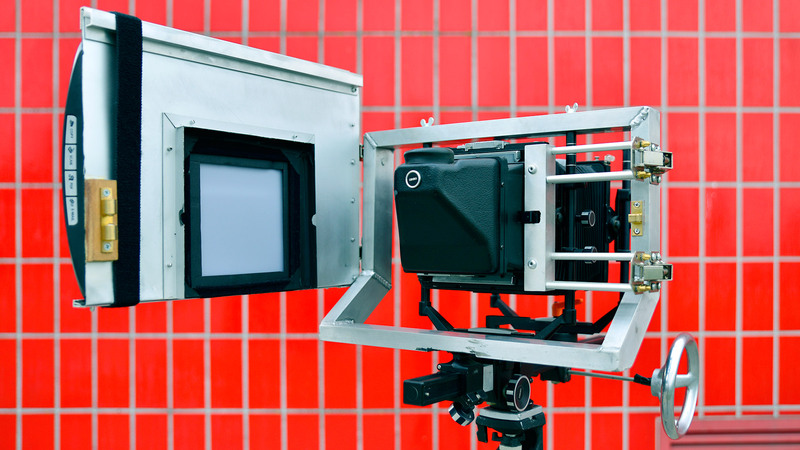 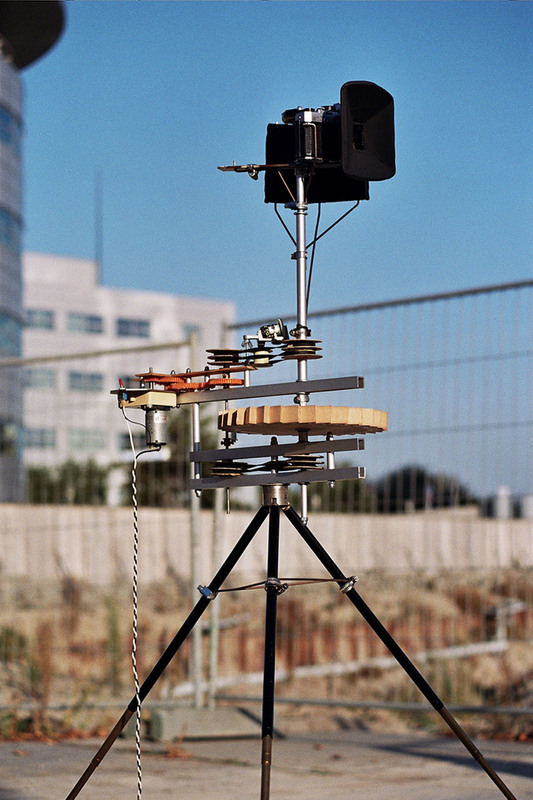 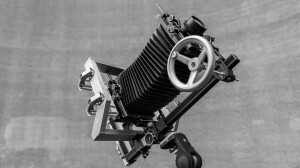 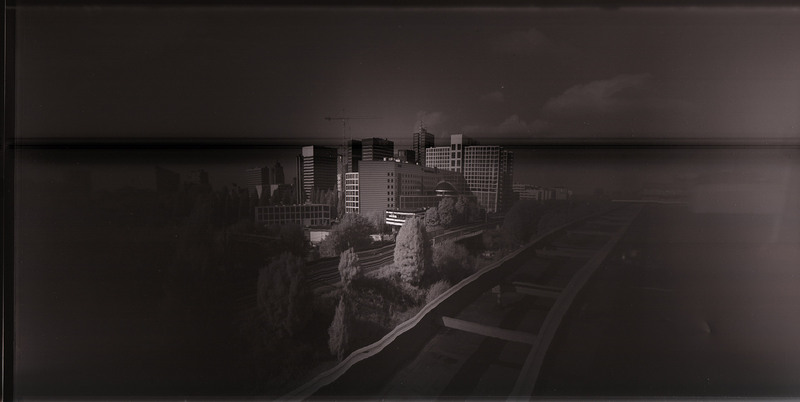 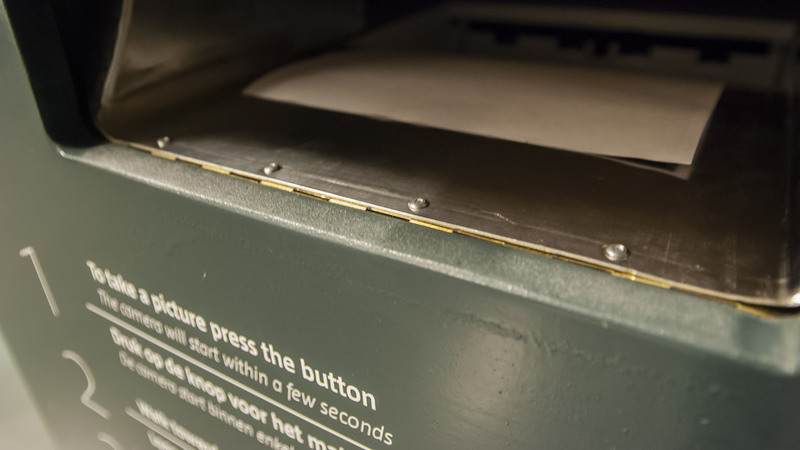 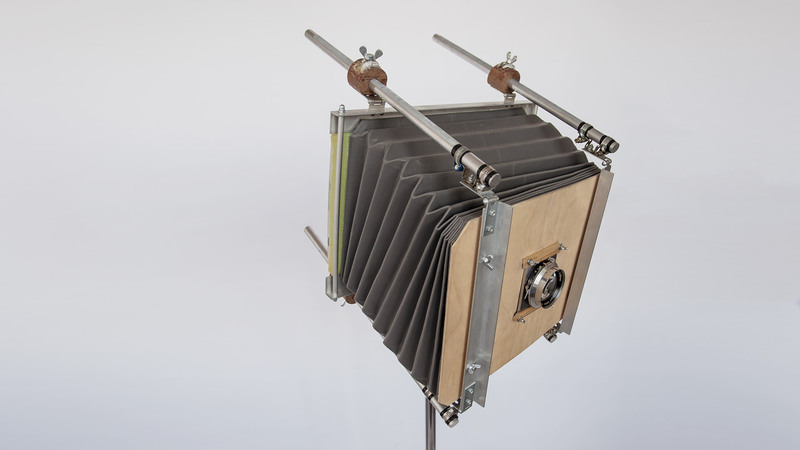 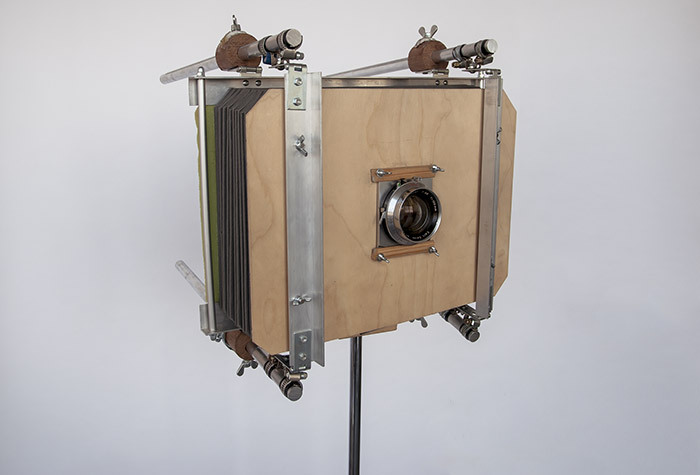 A3 SCAN-CAMERA ‘de luxe’, commissioned by Nederlands Fotomuseum Rotterdam After the success of the first scan camera at the Fotomuseum, which had as output paper prints. 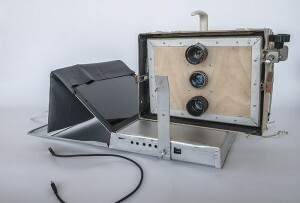 The question came to have a camera that would be more sustainable. 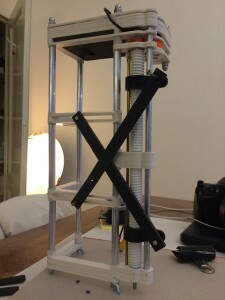 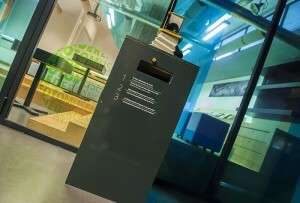 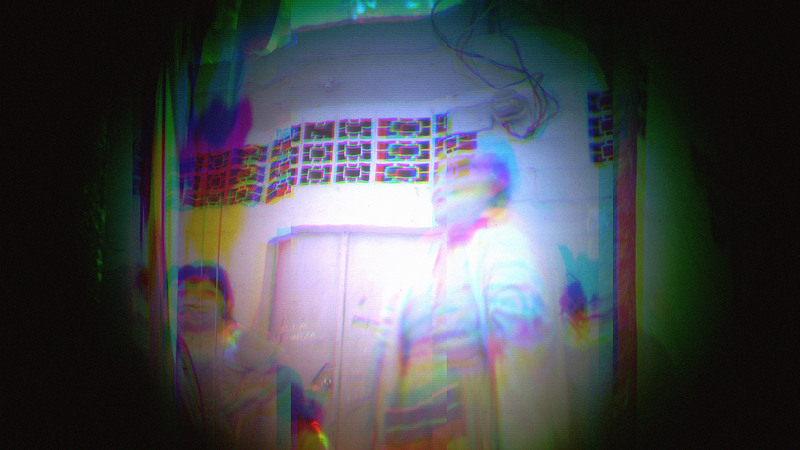 Instead of having prints as an output, i’ve chose to make the camera completely digital, the visitor can create a picture, which will be directly uploaded to a flickr account. Hereby all are viewable directly and no paper is needed. 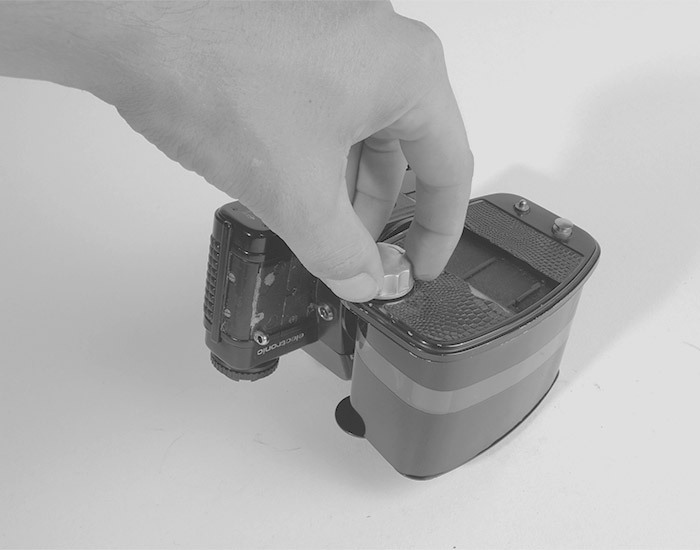 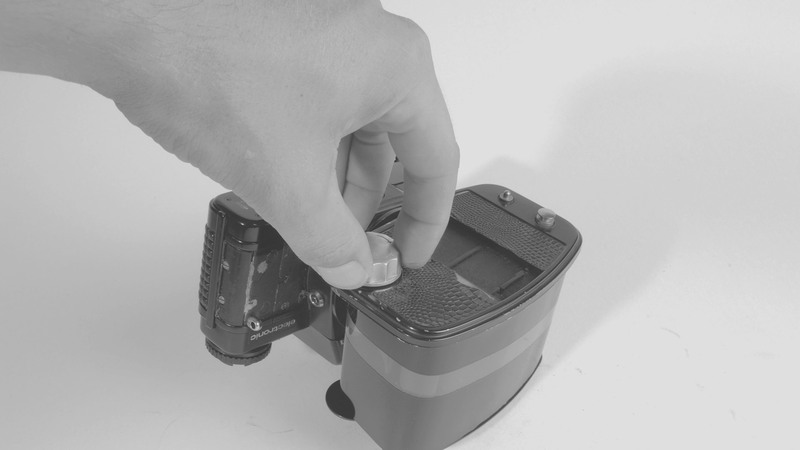 The aluminium scancamera is the result of multiple camera’s build and many earlier mistakes combined in a all new more trustworthy scancamera. 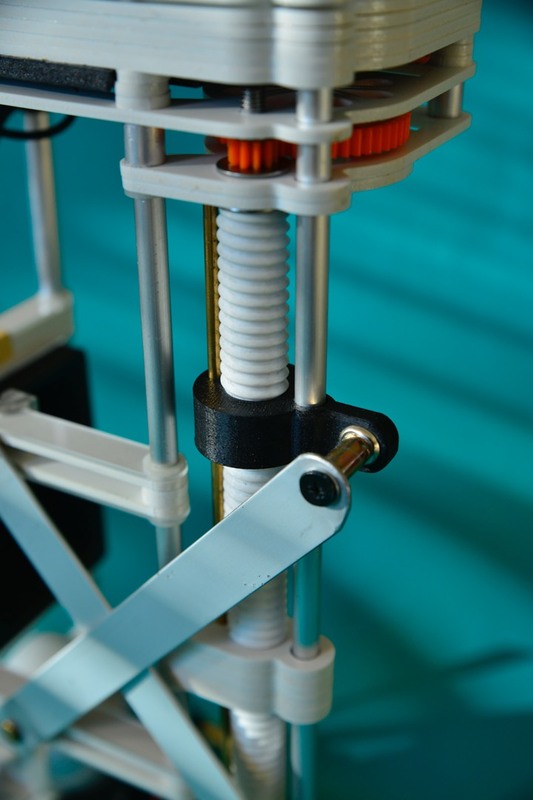 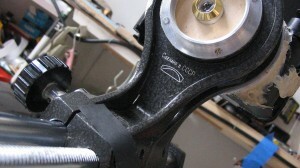 Fusion of recycled and new fresh parts, to benefit of the best of both worlds. All the black parts in the camera are from a Cambo camera, and all the shiny bits are newly made. 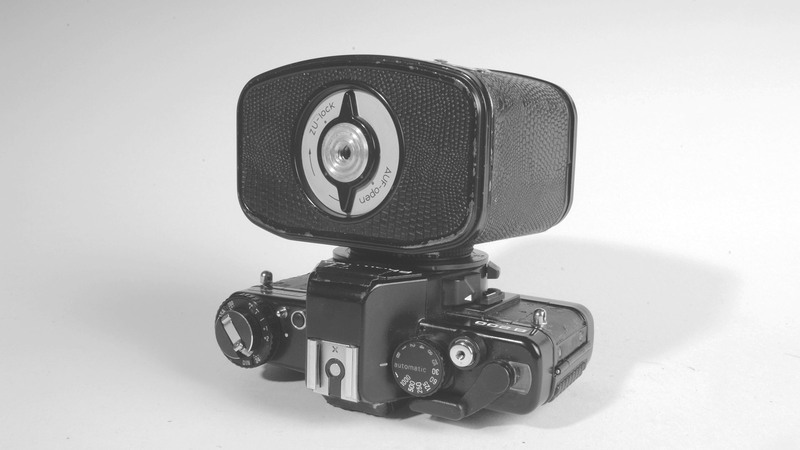 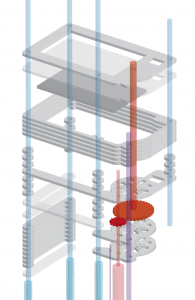 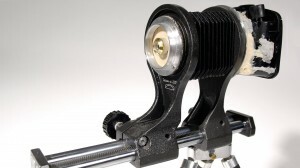 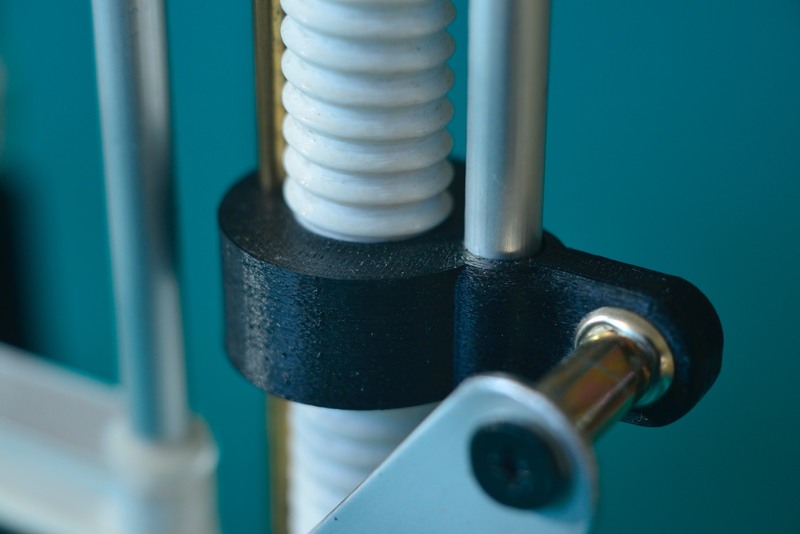 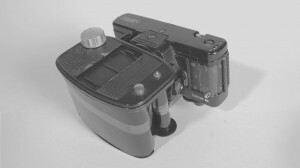 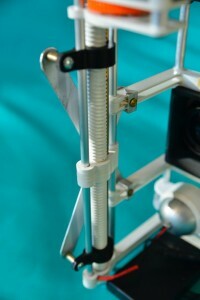 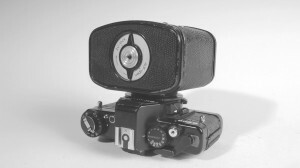 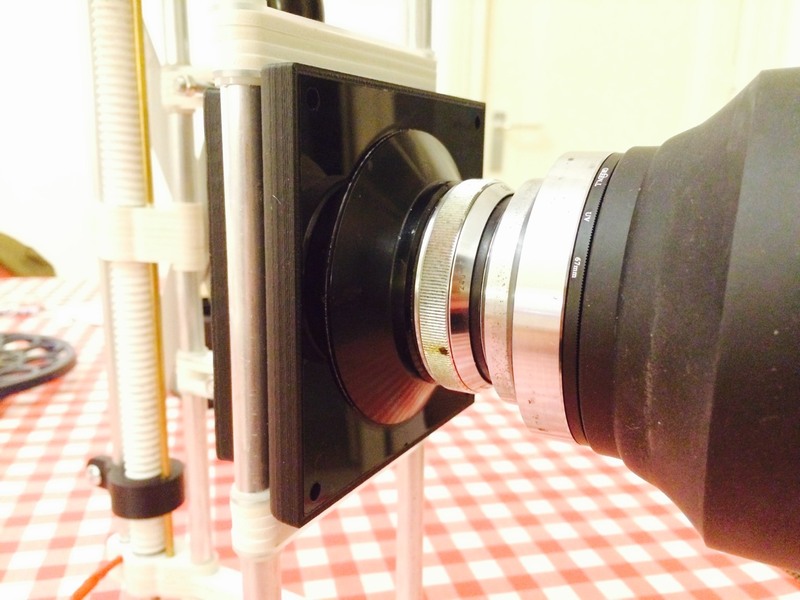 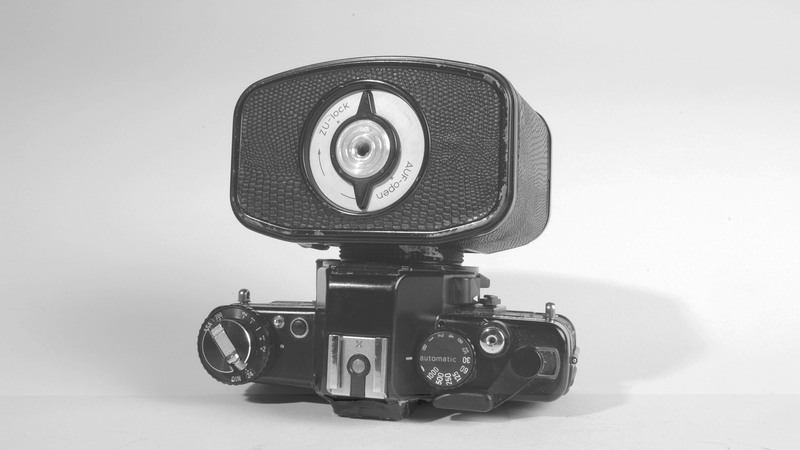 By using an existing camera as a base, the camera did not have to compromise on functionality. 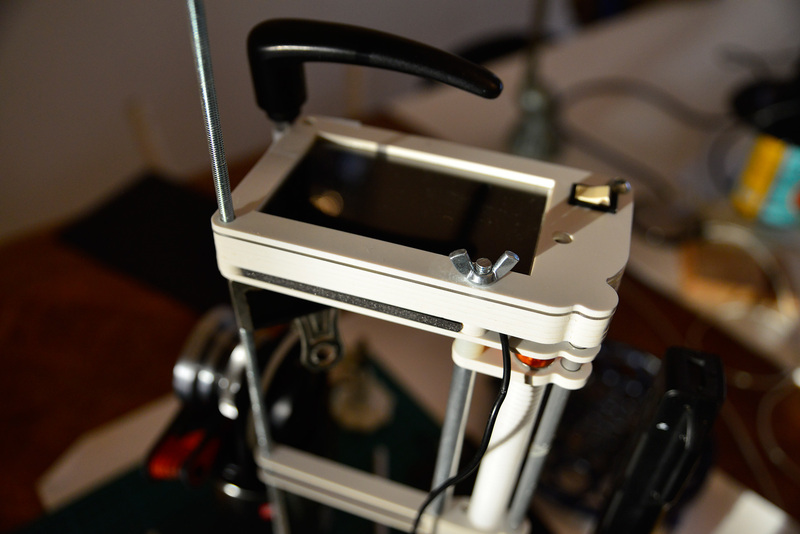 And as the name gives a way, the main ingredient for this build is aluminium. 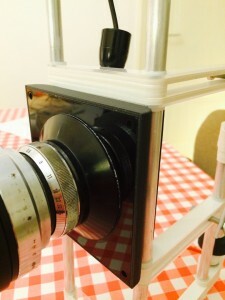 This camera is based on a small dia scanner. 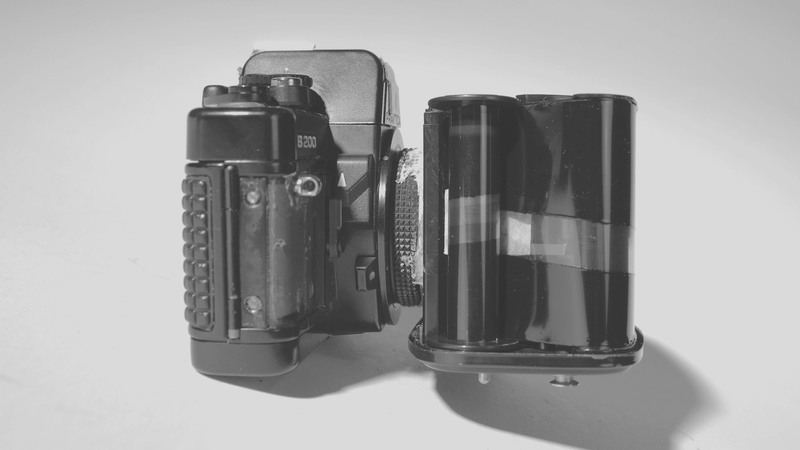 Out of curiosity i’ve combined the hardware of an existing cheap dia scanner with a bellow and a lens. 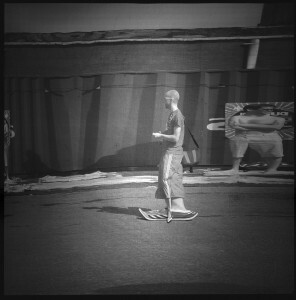 Al do the device is called a scanner, it actually takes a picture like an ordinary camera, only a bit slower. 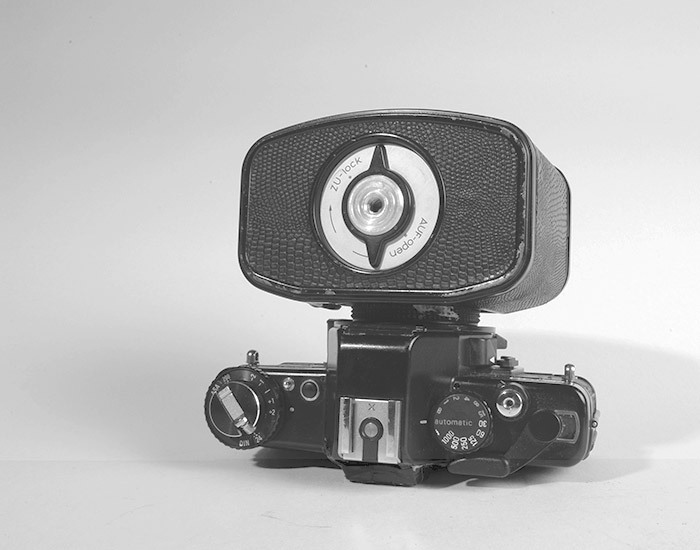 The quality of the images are not exceptionally large and the specialty of the images is also not super. 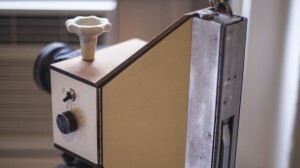 Doesn’t require a computer to operate. 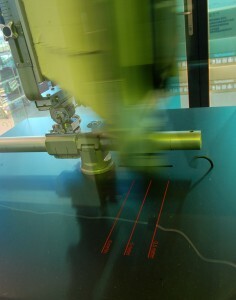 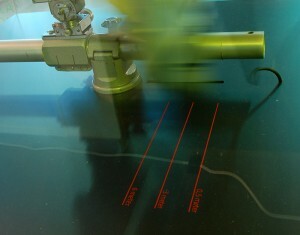 If you are looking for a higher resolution and more precision within scan photo’s it is. A4 format is nice of course and to be honest more manageable as well. 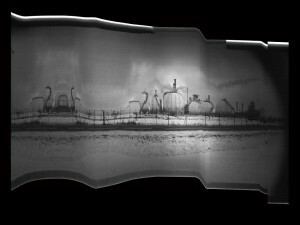 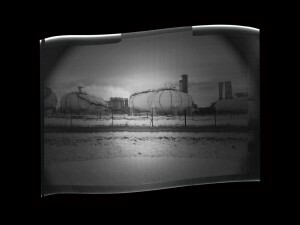 The first scan camera that i’ve made proved that the technique worked and the models that came after this one explored various ideas. 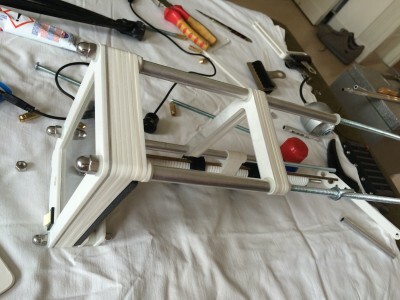 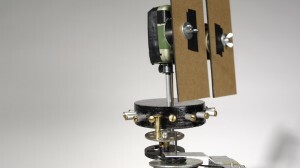 But none of these camera’s where stable and accurate in there use, therefore i’ve aimed to build one that was. 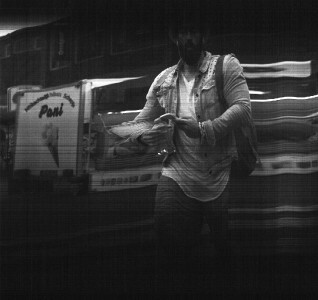 Next to this i’ve wanted to go the extra mile and create something that exploited the enormous resolution that the scanners provide. This camera scans images in ‘color’, by capturing the image 3 times simultaneously in Red, Green and Blue. Composing the 3 images together into one, gives a vibrance and unique image. 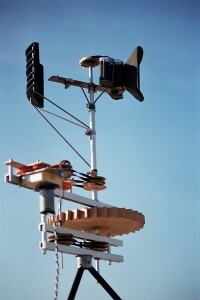 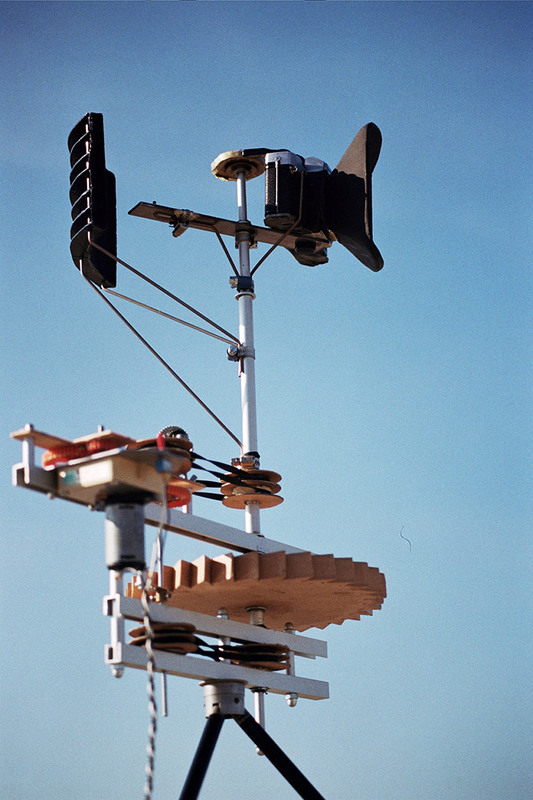 The camera piece was in operation from 2010 to 2011, and has been replaced by the second -way better- NFM piece. Due to the returning maintenance visits. Press the button and within one minute you’ve got a picture on A4 just like an old fashion Polaroid camera. 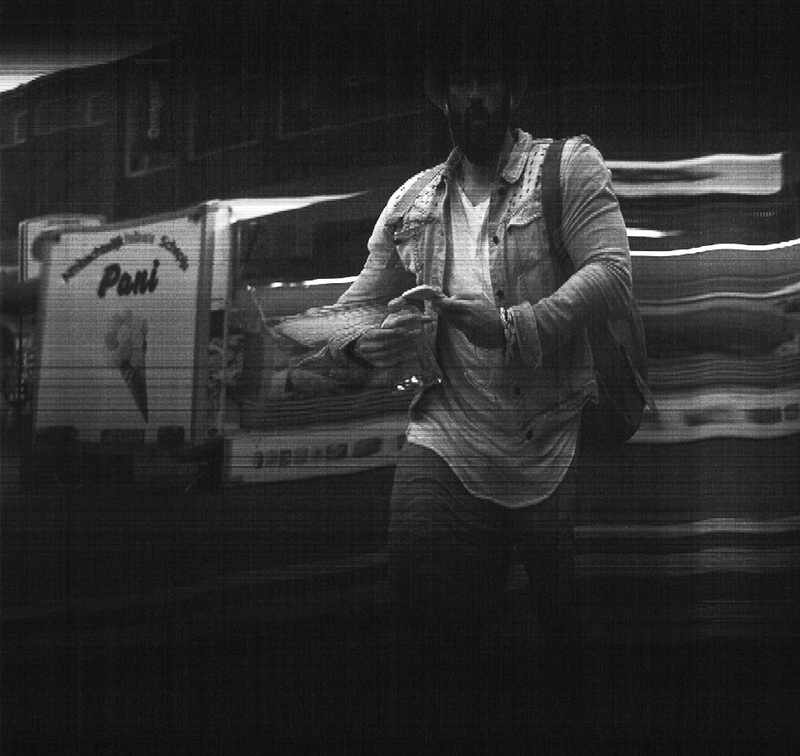 After creating camera’s that take weeks to see the result I was getting more and more interested in making something digital. 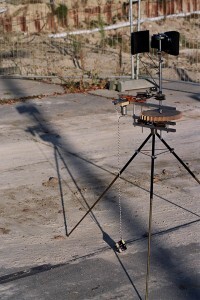 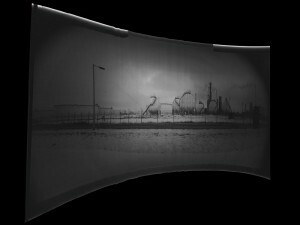 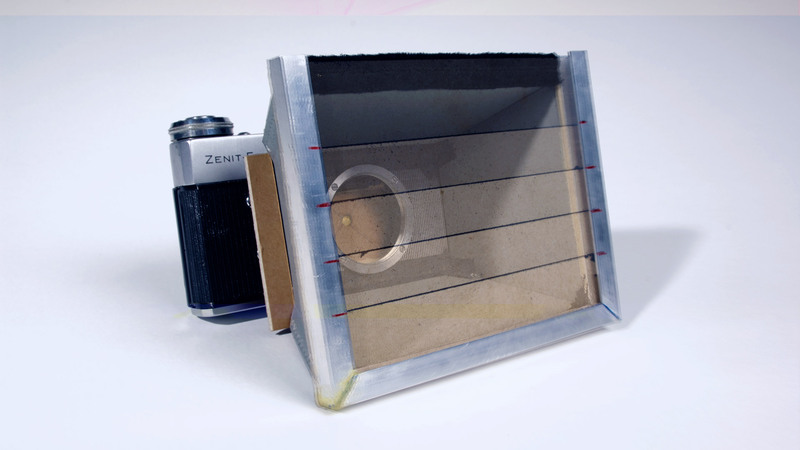 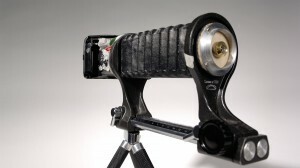 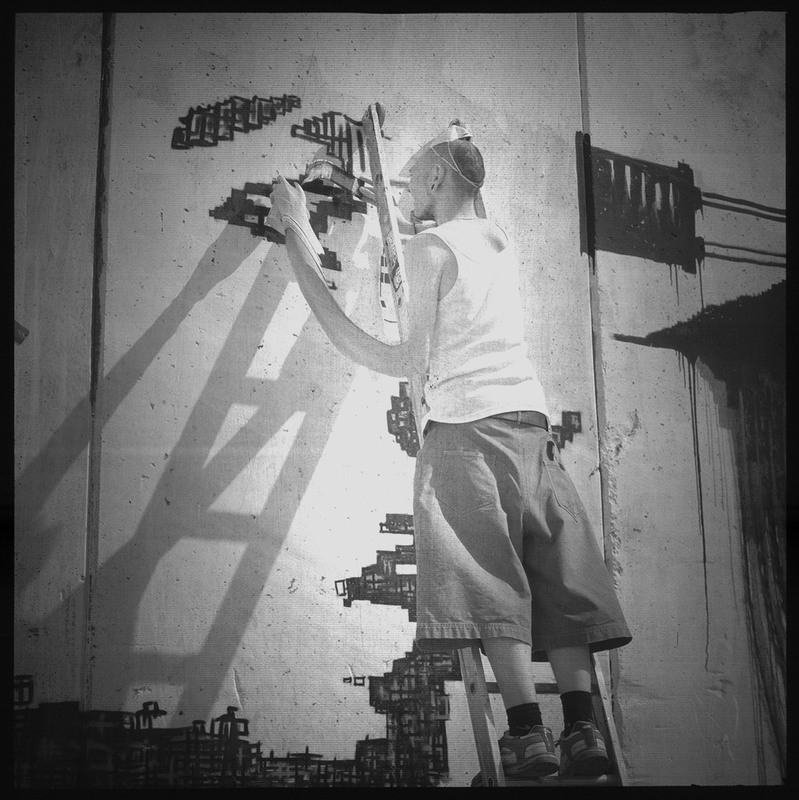 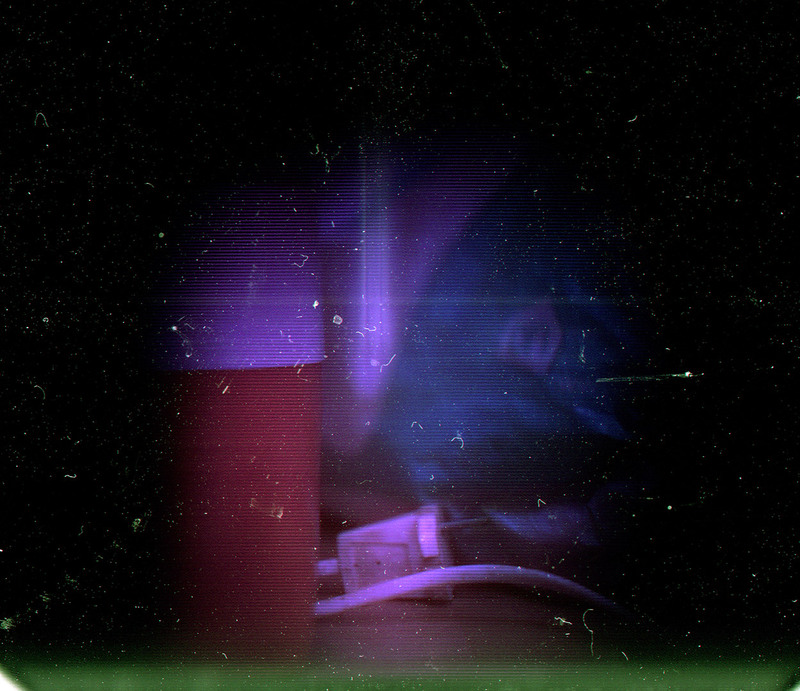 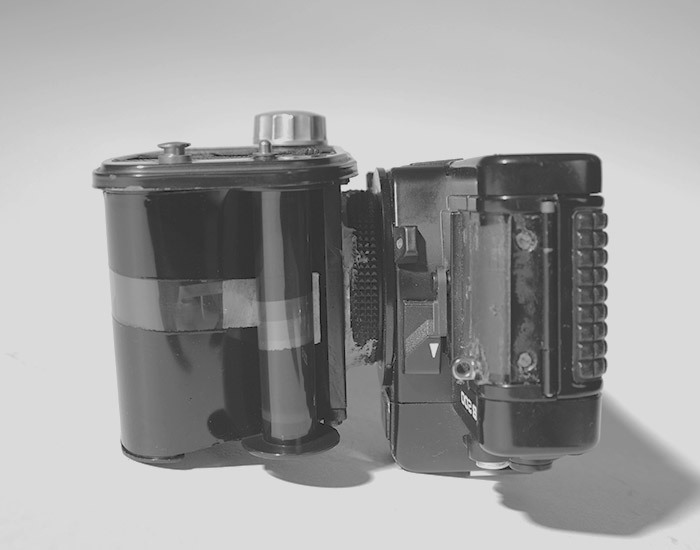 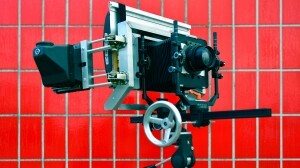 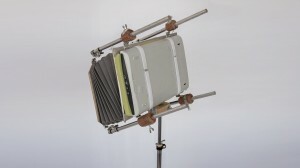 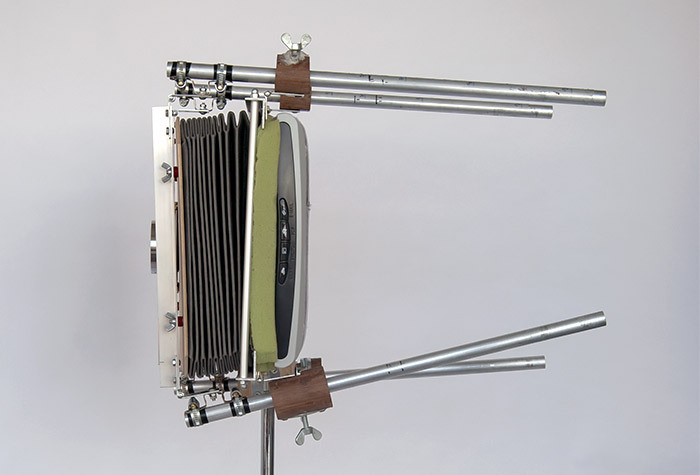 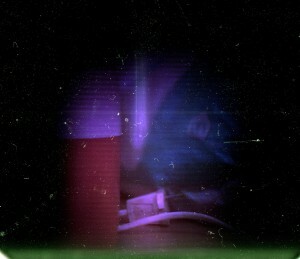 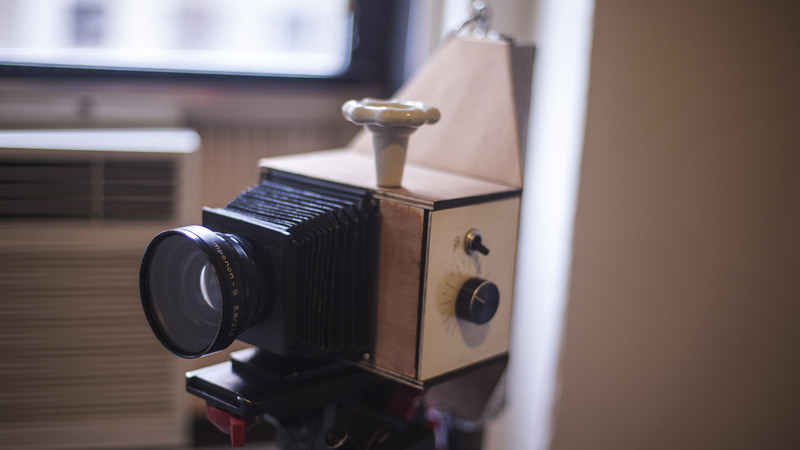 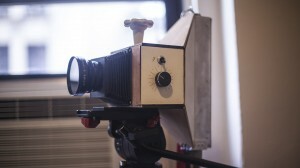 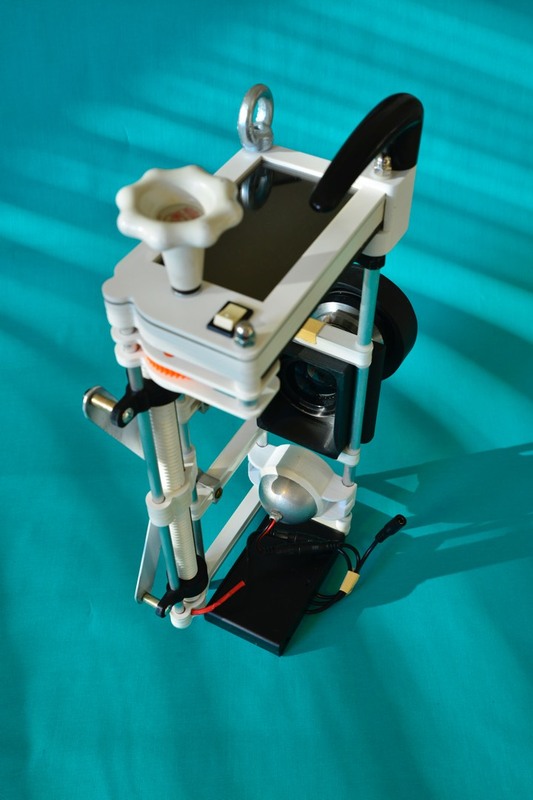 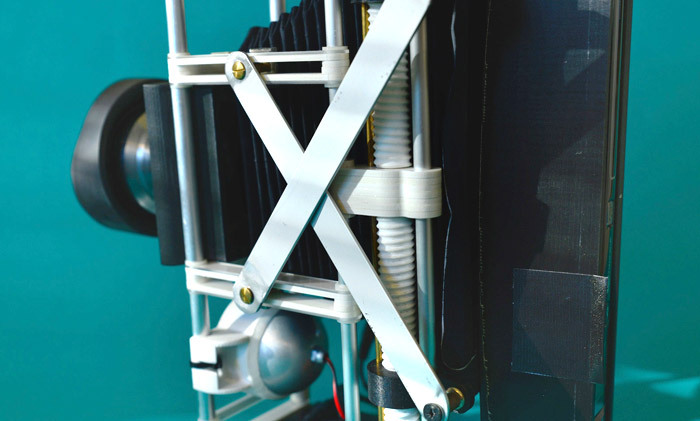 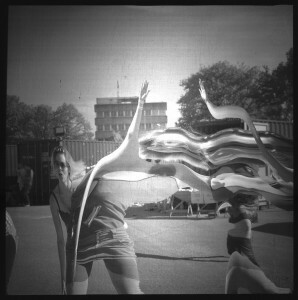 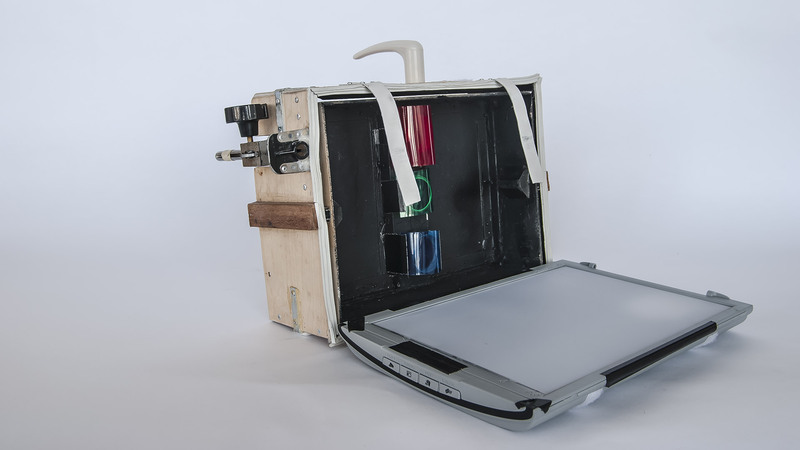 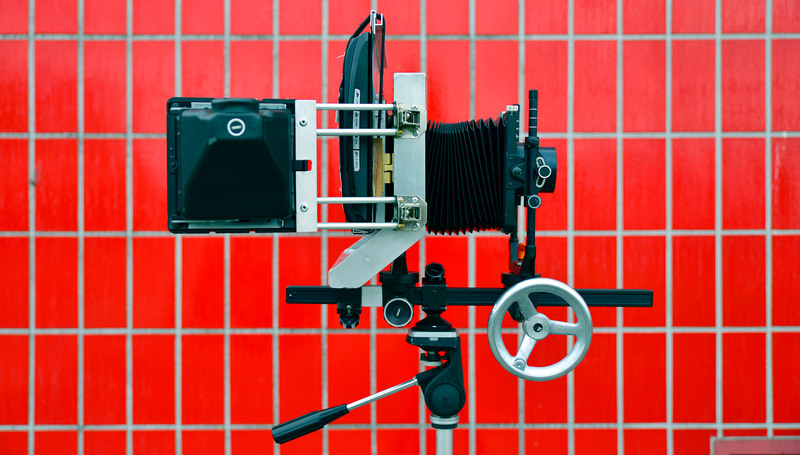 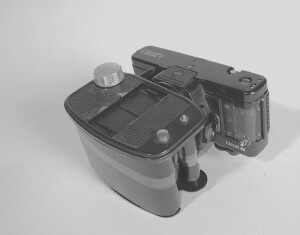 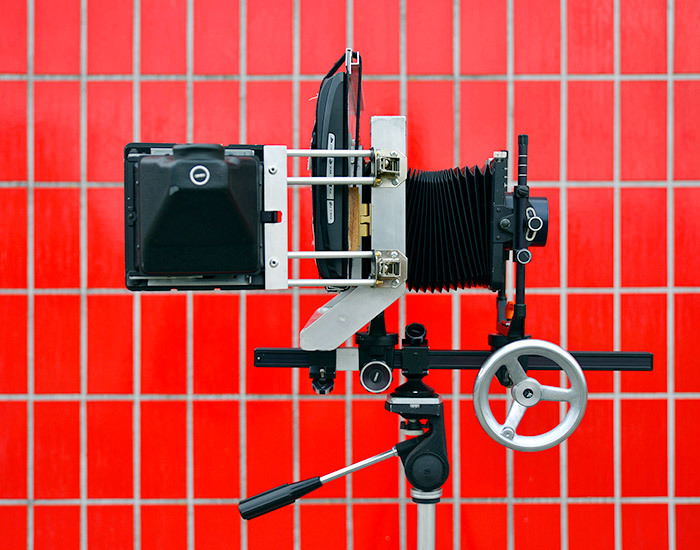 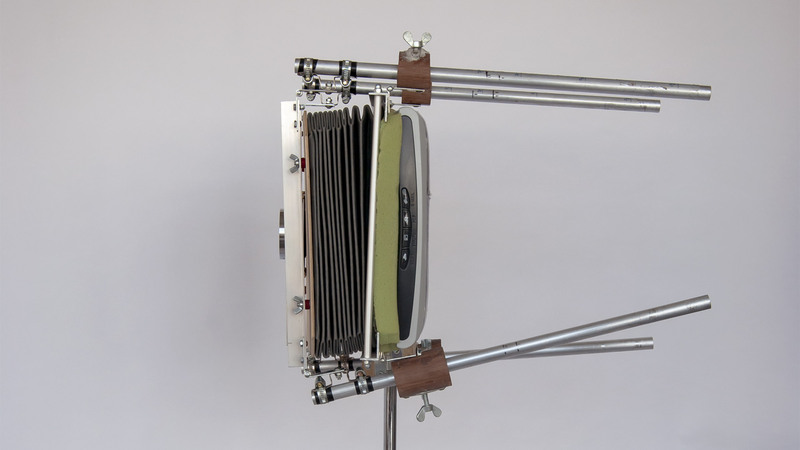 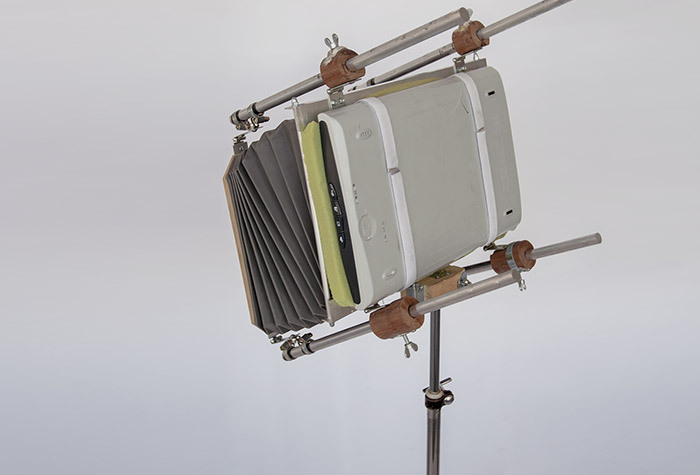 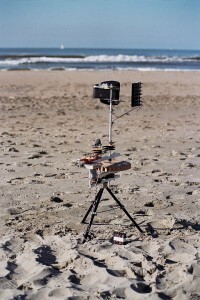 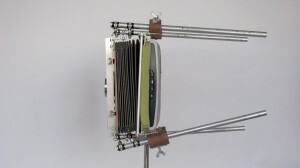 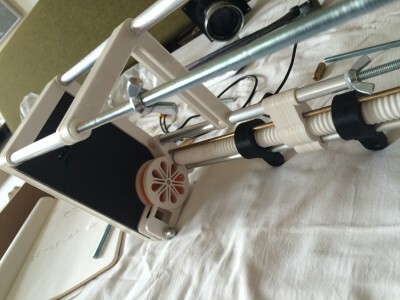 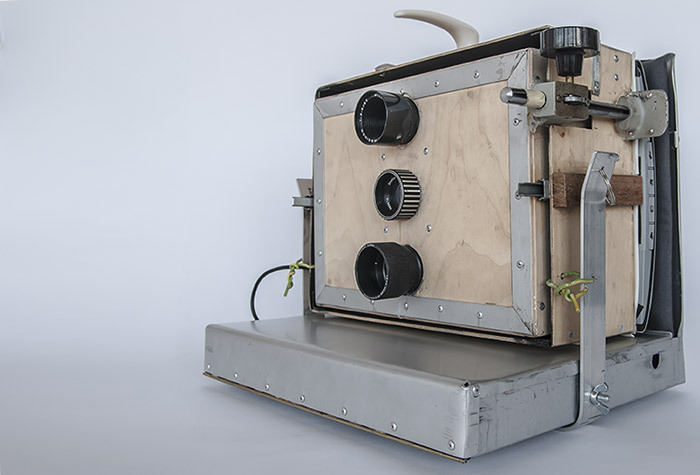 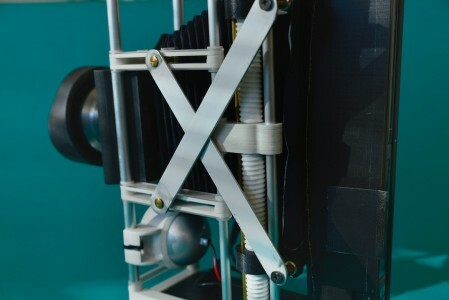 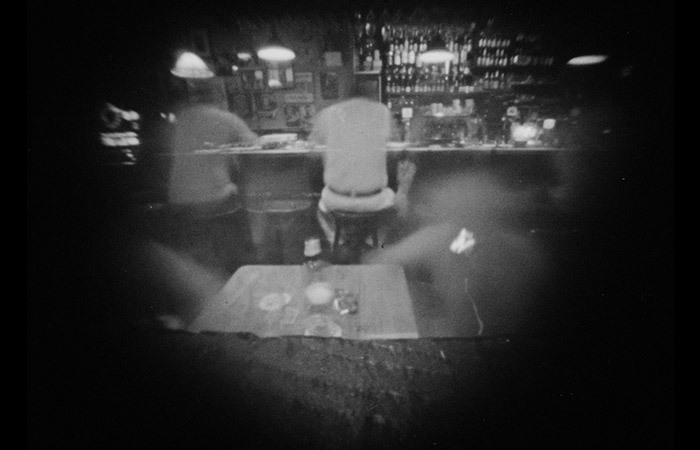 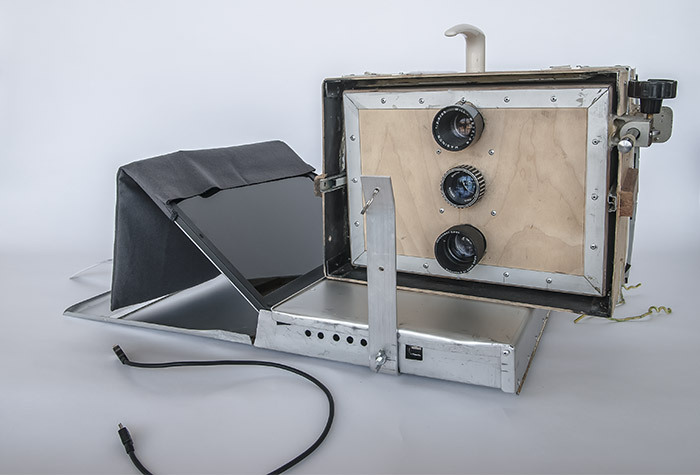 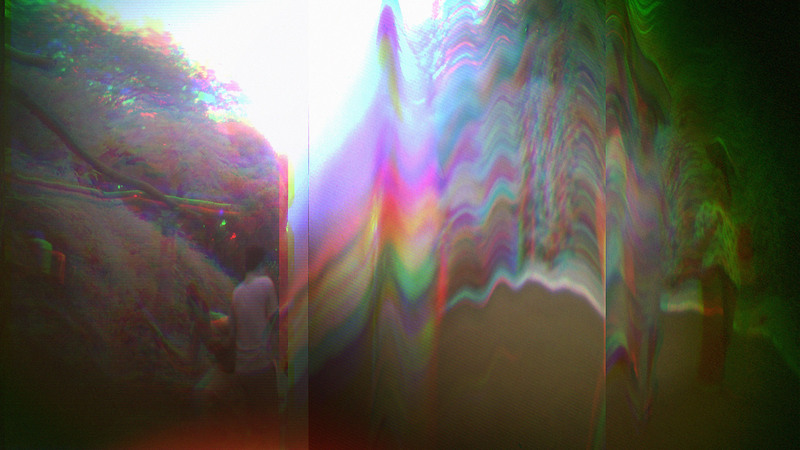 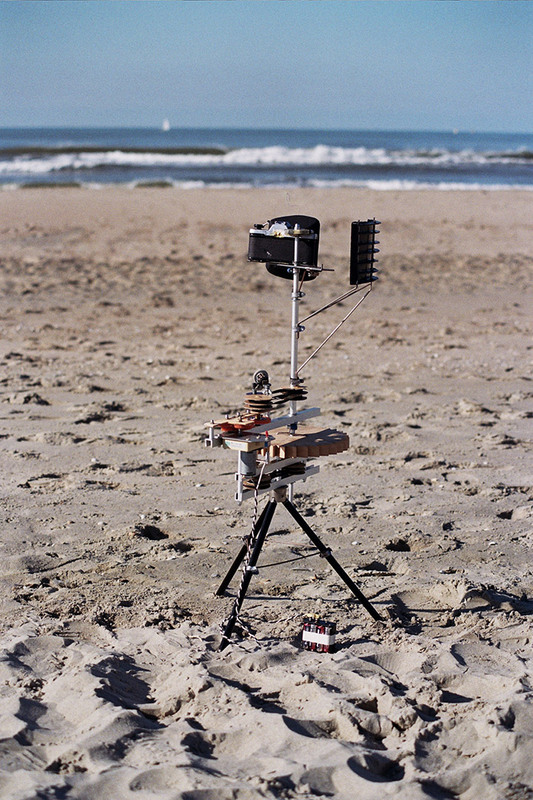 This camera ‘scans’ the image, by using a flatbed scanner [customized here and there]. 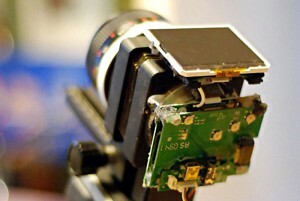 The results are over 500Mb images and an instant preview of the result. 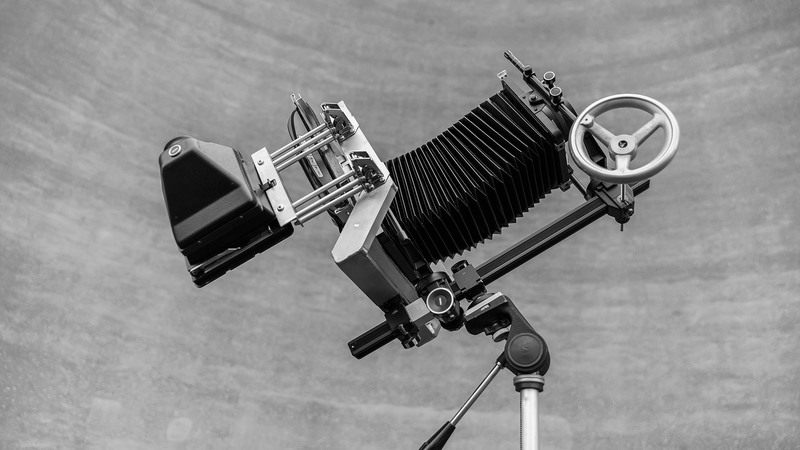 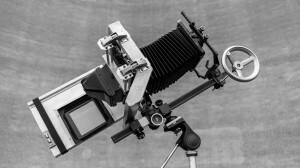 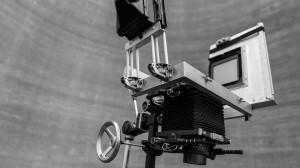 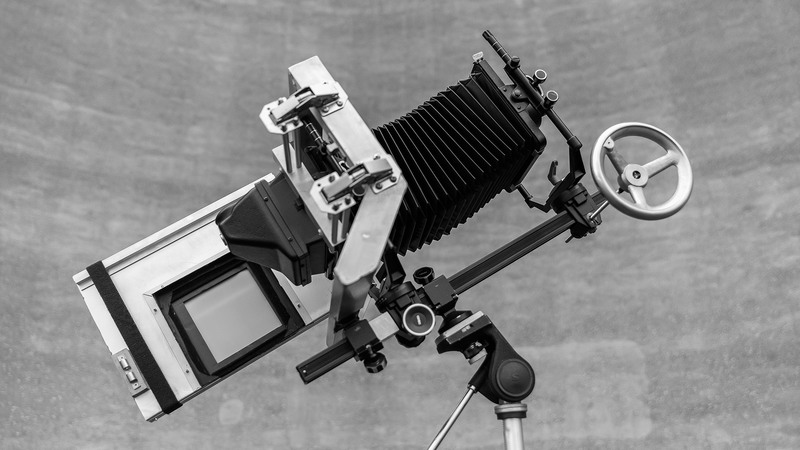 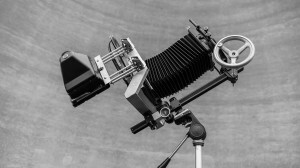 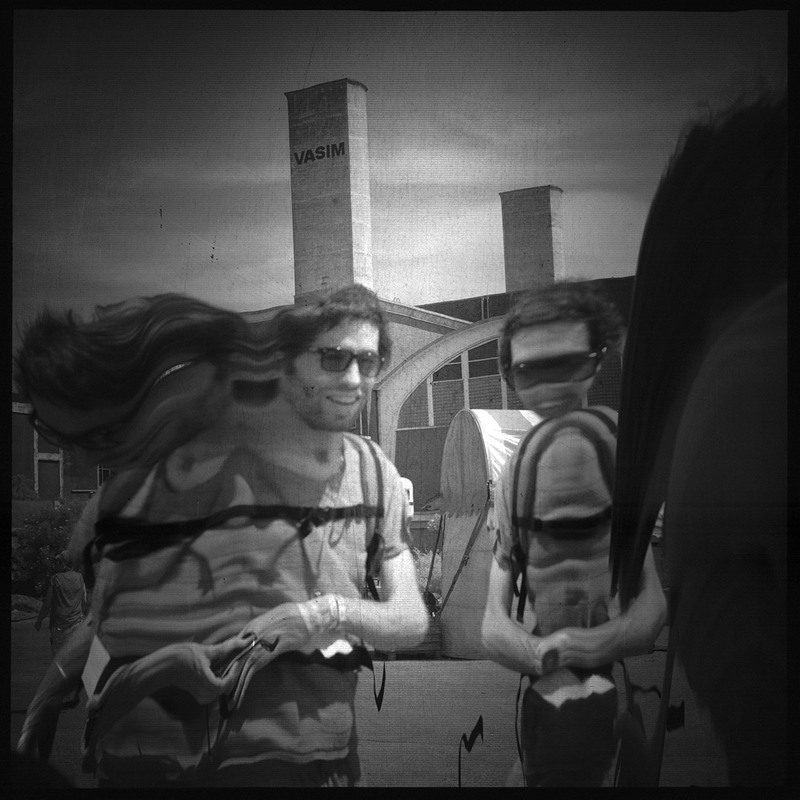 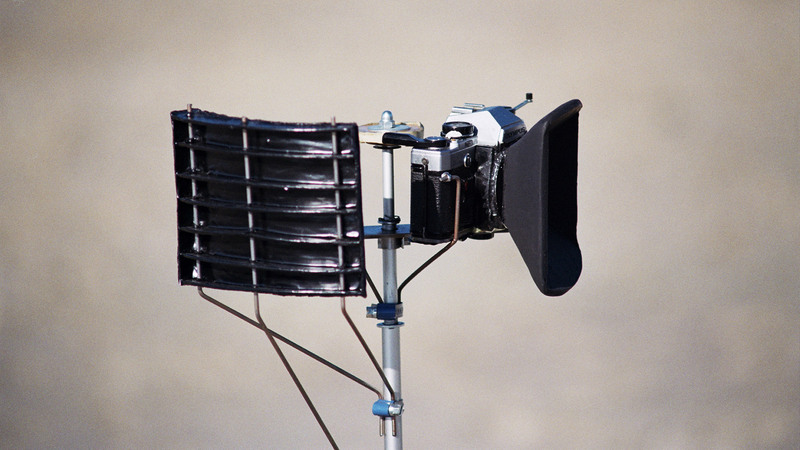 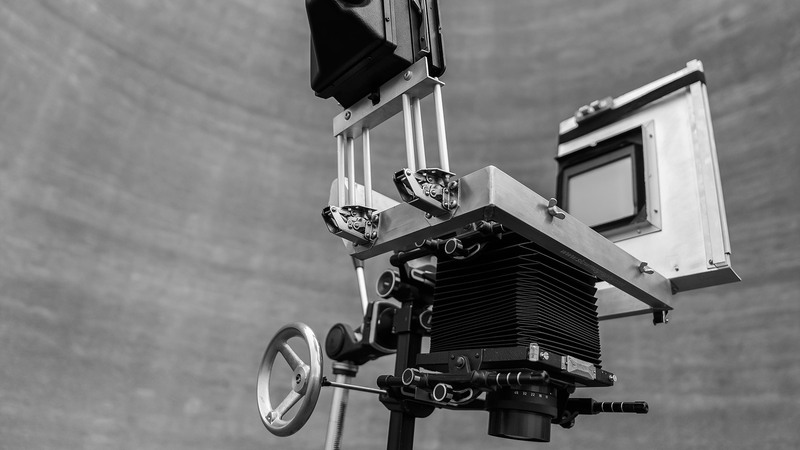 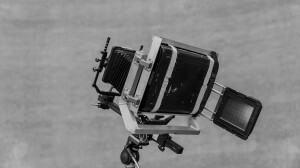 By mounting a scanner to some sort of technical camera with a lens made for large format you’ve got a working camera. 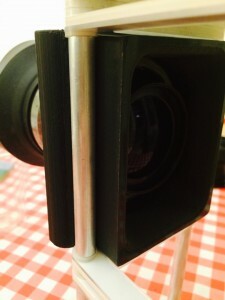 The second 360 degree camera. 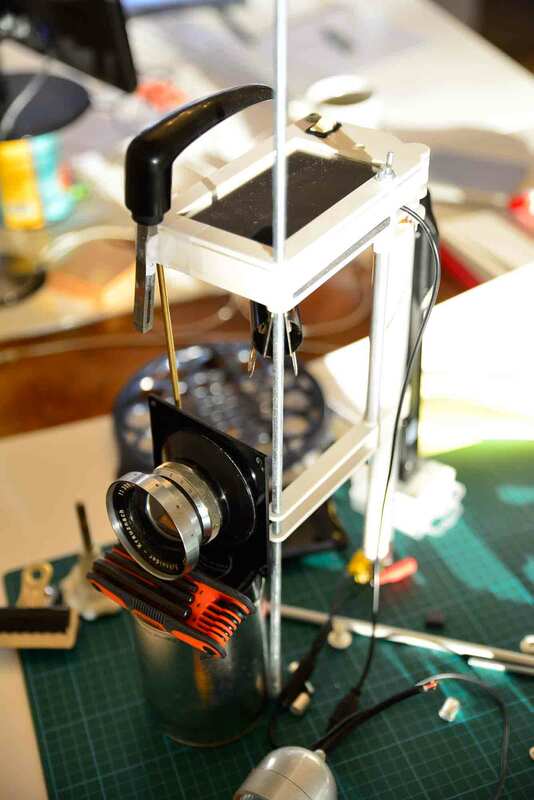 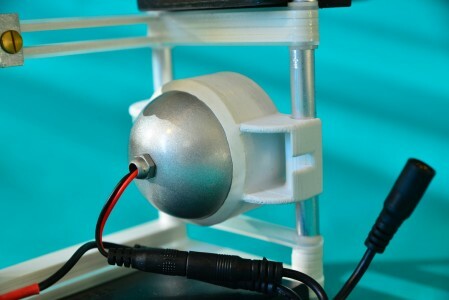 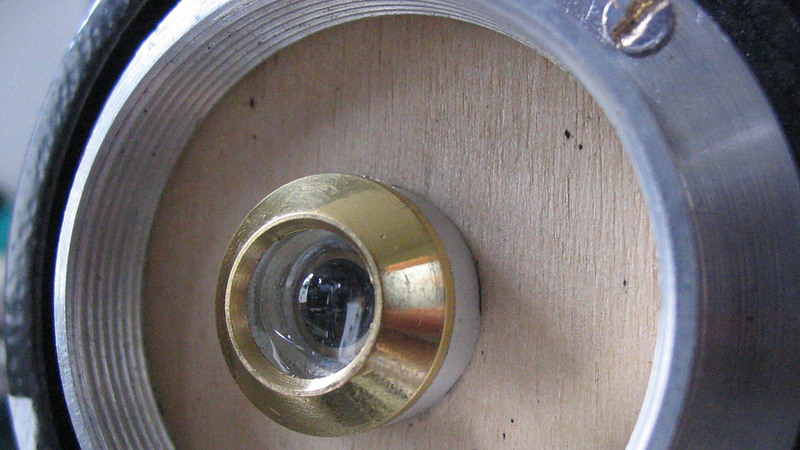 this is the first fully automatic 360 degrees camera I’ve build, it turns every 4 seconds and takes a very small picture [2.4 mm]. 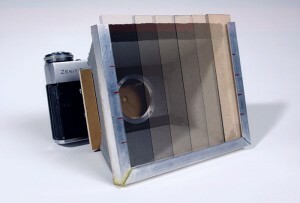 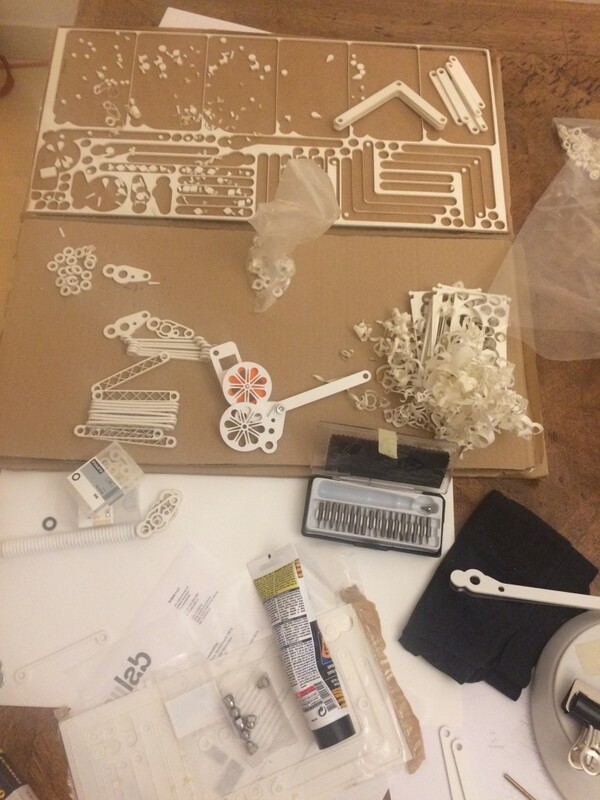 then it “glue’s” this photo next to the last photo. 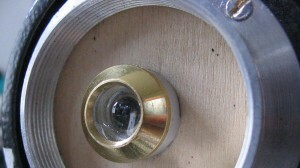 it takes 16 steps to complete 1 full circle. 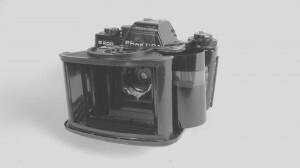 ‘PRAKTICA’ – the second ‘time capturing‘ camera this camera is the followup from the Zenit, it’s combination of two camera’s the filmholder is a Praktica and the shutter is made of a 6×7 CLACK the function of the Zenit camera [earlier ‘time capturing’ camera] is nice, but static. 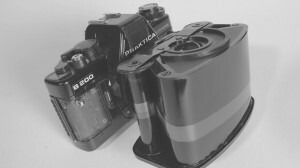 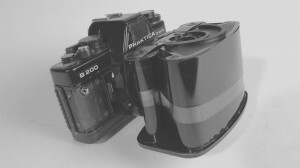 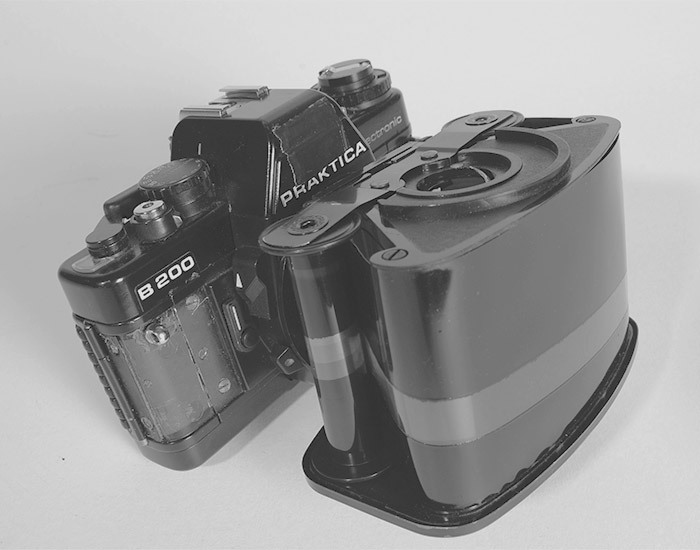 this custom Praktica camera does the same only fluently. 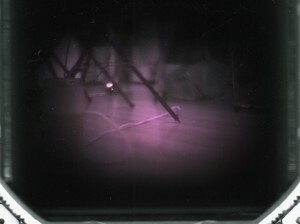 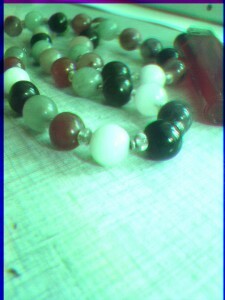 this is done by the film of the camera in front. 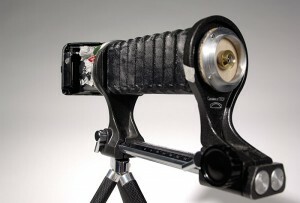 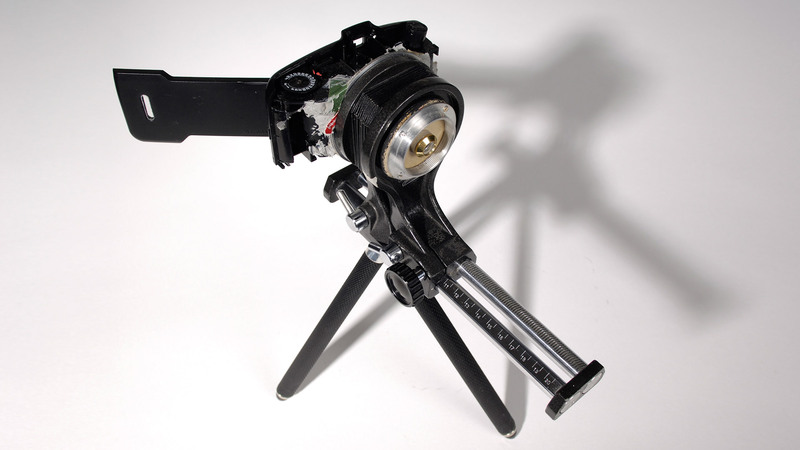 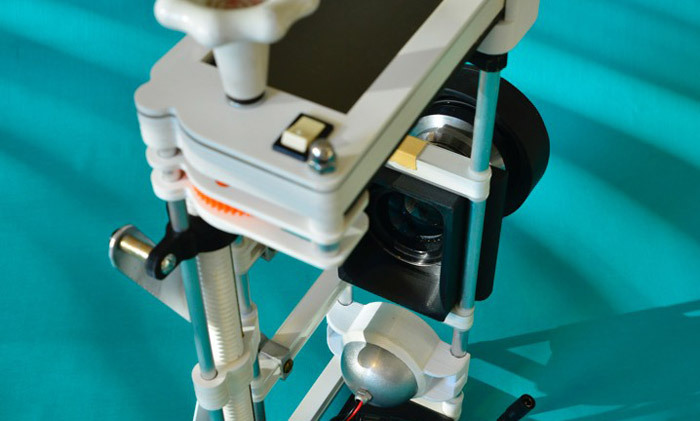 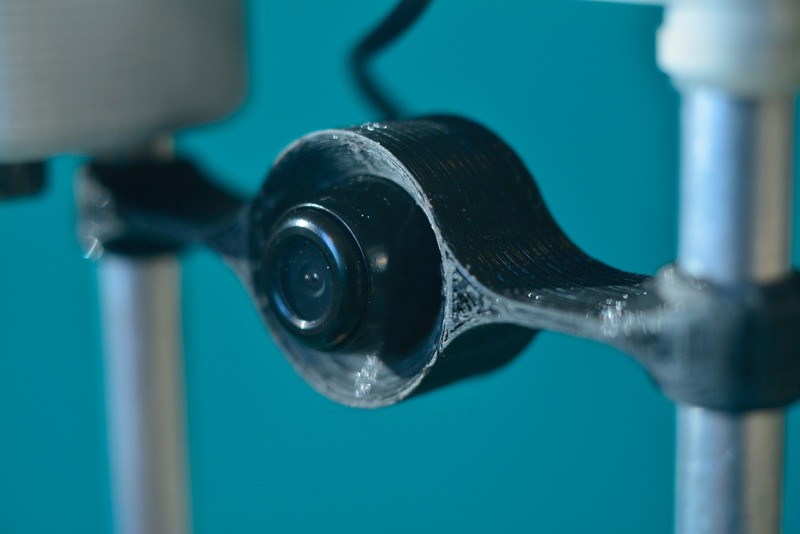 The camera has the ability to zoom from a wide angle (160 degrees) with the camera on the tightest bellow. 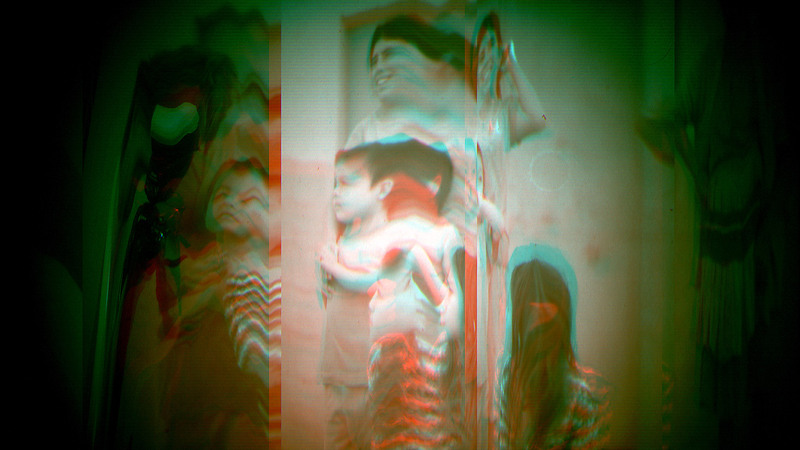 To an apx. 500 mm lens with the bellow fully unfolded. 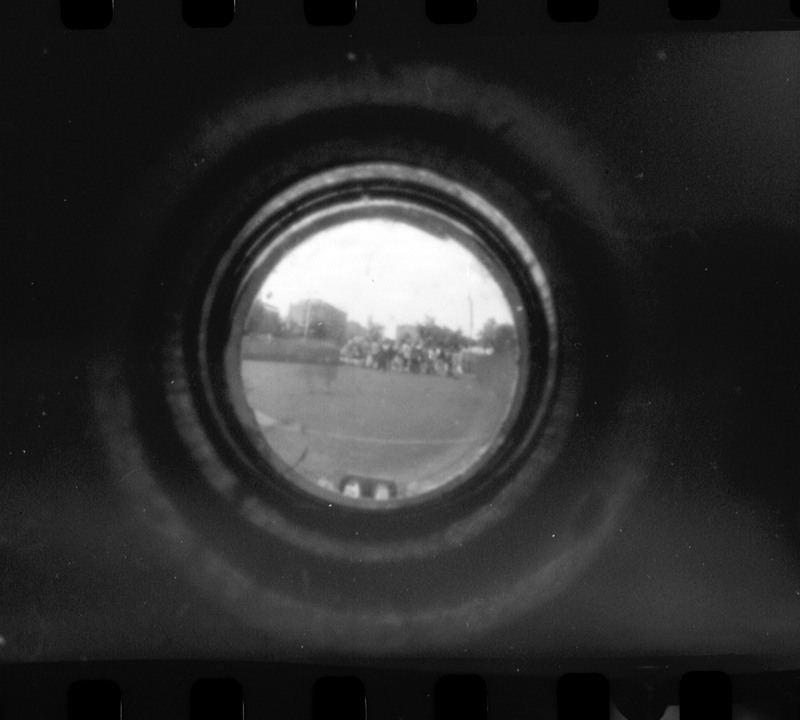 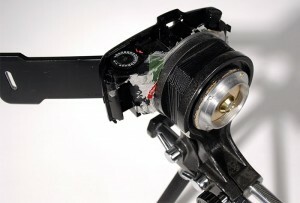 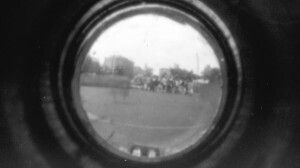 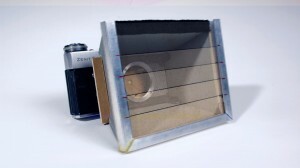 The pinhole used behind the lens is so small the aperture is apx. 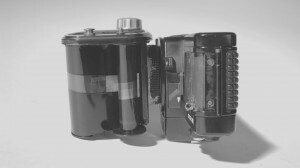 F250. 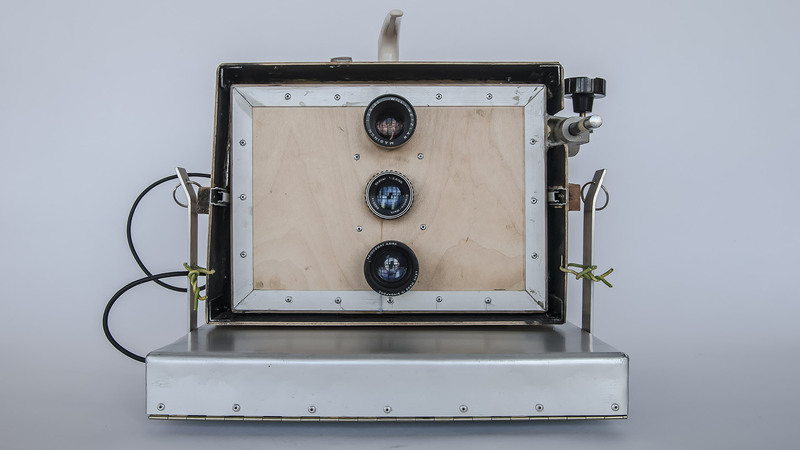 This is the camera where it all started with (after many normal pinhole camera’s) by covering parts of the lens up it captures the image in fragments. By opening only one horizontal bar after an other, moving from the bottom to the top one, you get a fractured view of a situation. By doing so you can tell in witch direction objects are moving.